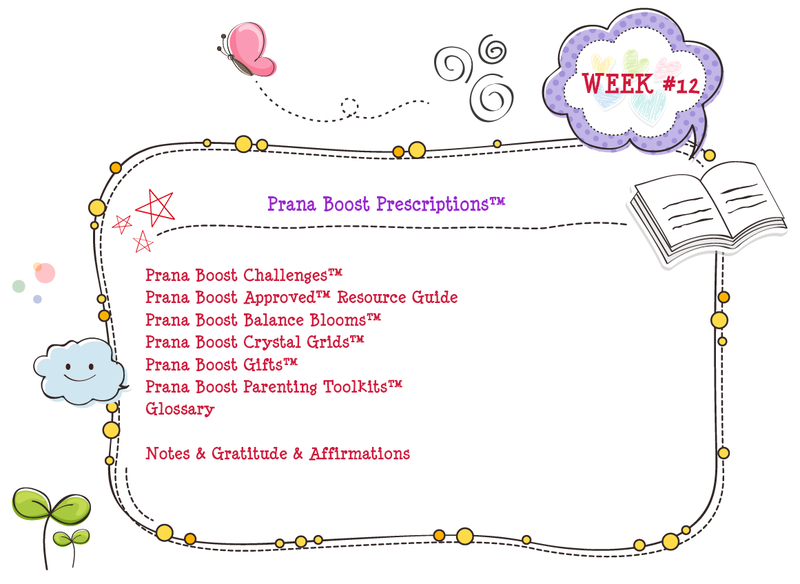 ♥ What Is A Prana Boost? 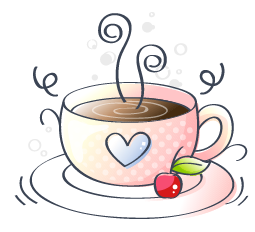 ♥ How Can I Help You? is the SECRET to experiencing the family you dream of. What are your dreams for YOURSELF, YOUR CHILD & YOUR FAMILY? 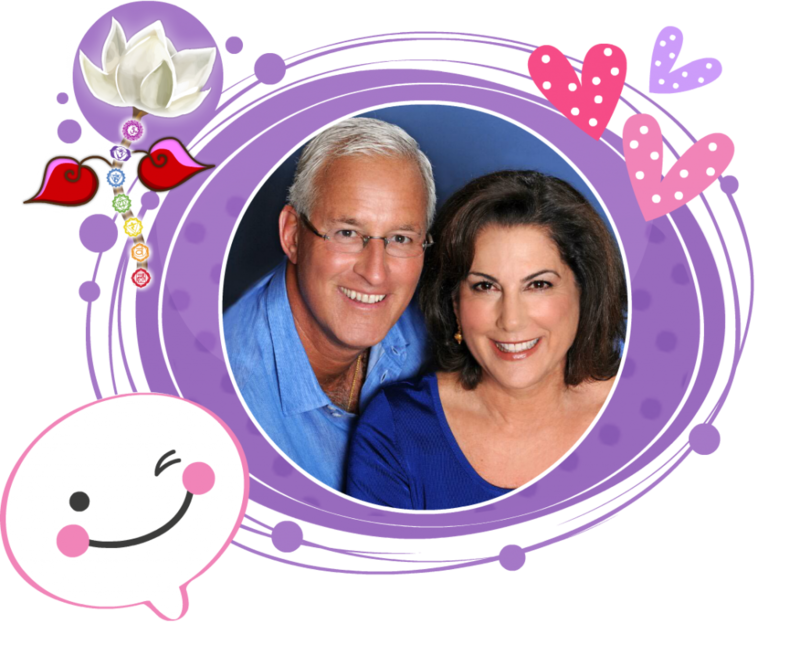 How did I achieve a LOVING relationship with my husband for the last 24 years? 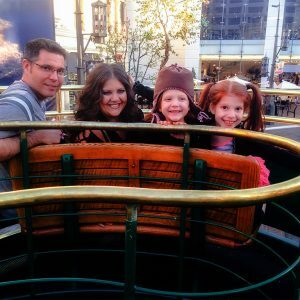 How did I create a loving, kind, respectful family without using punishment or violence? How did I create a life I don’t need to escape from? A happy, healthy home with people I adore that I WANT TO take a vacation with? How did we create an environment where YOU ACTUALLY CHARGE UP instead of becoming depleted and wanting to run for the hills? How did I learn about products we use in our home and on our bodies? How did I learn about the foods we eat and how they affect our health, our mindset, and our behavior? 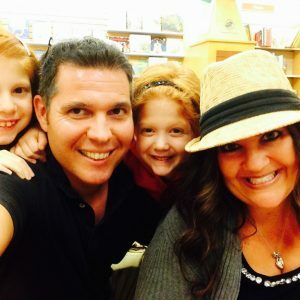 You dream of having a family that is connected and a relationship with your kids and your spouse/co-parent that is based in TRUST so you can inspire & influence your family from a place of LOVE & PEACE…So you can spend your time living your dream lifestyle with the people you love most. If you are ready to have fun parenting, open to seeing things differently, & want to feel peaceful, loving & joyful, this is for YOU! This course is for you if you are open to learning a completely new way to parent and if you are willing, open & honestly want to learn how to create the family you dream of. While there may not be any official guide to parenting with all the answers to help us decide what we are doing, we CAN decide HOW WE WANT TO FEEL, HOW WE WANT TO THINK, HOW WE WANT TO SPEAK & HOW WE WANT TO ACT. We can make a decision to be a Prana Boost™ Parent. Mindful Parenting is a topic that is closest to my heart…it’s my greatest MISSION, PASSION & DHARMA (Life’s purpose). While raising our 2 beautiful daughters, I had no idea what it might be called. I just followed my heart and listened to my intuition even though almost every decision we made went against the “norm.” Later in my journey, I now know that it is actually often referred to as Conscious, Mindful, Gentle, Peaceful or even Positive Parenting. We have a very unique lifestyle and family life. 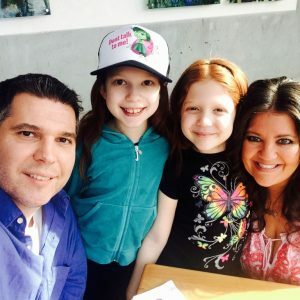 Our biggest commitment as parents was to remove any Authoritarian actions and reactions and work together in PARTNERSHIP as a connected family & as best friends, guides, & coaches to our girls to find solutions and daily decisions that we all feel good about. 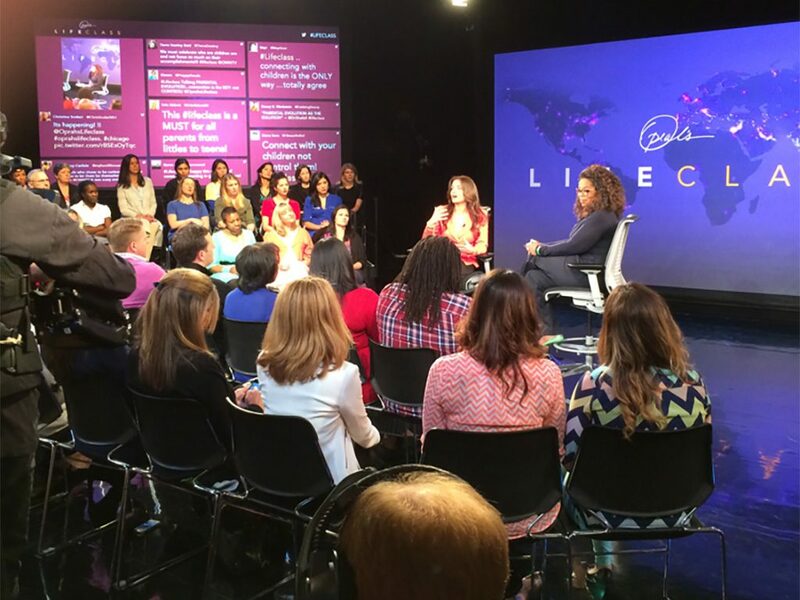 I had the pleasure of being personally invited by Dr. Shefali Tsabary to attend an Oprah Lifeclass in Chicago back in May, 2014. I went to support a wonderful trailblazer and beautiful soul who put some of these concepts into a book called, The Conscious Parent. Oprah Winfrey, loves, embraces & understands this concept of parenting & has had over 25 years of interactions with families and parents dealing with the most common challenges parents face. I had the courage to ignore any outside voices, doubts, or fears and learn to trust and listen to my inner voice. This is my dream for YOU. I will help “Guide you to your own Guidance.” I will help you listen to YOUR INNER VOICE. My intention is to shine a light on parenting in today’s world and help light the way for others. I want to acknowledge the challenges we face as parents today and EMPOWER both parents and kids with new coping skills that they can use in their families and in every part of their lives. This is a course that can help you create the family of your dreams whether you are already a parent or a parent-to-be. This course will create an evolution in all areas of your life: health, wealth and self growth. IT’S TIME EVERYONE! It’s time to make a promise to our children that we are going to treat them with love, respect, & kindness. We can no longer look outside of ourselves & ask the world to reflect a loving, respectful, kind state, until we look within and revolutionize the way we parent. Why Is It Important To Shift The Way We Parent? Every year more than 3 million reports of child abuse are made in the United States involving more than 6 million children (a report can include multiple children). Think about how many are not reported. 10,000,000 = The number of children exposed to domestic violence every year. The United States has one of the worst records among industrialized nations: A report of a child abuse is made every ten seconds. Depression & Anxiety and Pharmaceutical use Anxiety disorders in the U.S., affect 40 million adults age 18 and older (18% of U.S. population). 30 million people use & abuse drugs & alcohol every year, even with all of our campaigns to promote a drug free life. Cancer is the leading cause of death by disease in American Children; 1 in 13 kids have life threatening food allergies (a 400% increase in life threatening food allergies); A life-threatening food allergic reaction now sends someone to the E.R. once every three minutes in the U.S. 1 in 68 have Autism; 1 in 10 have asthma; 54% of kids are now chronically ill which amounts to 32 million kids. According to Carolyn Dean MD ND, The Doctor of the Future®, on a Mental Health web site the Number of Children & Adolescents Taking Psychiatric Drugs in the U.S. For children aged 0-17, 8,389,034 are on psychiatric drugs, which is over 10% of that population. THINGS HAVE TO CHANGE! WE CAN CHANGE THIS! Become A Loving Advocate & Leader For Your Family. It’s TIME! 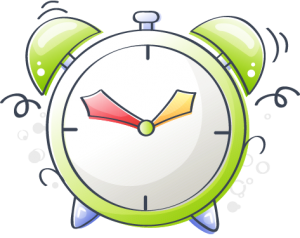 To wake up & take responsibility in our OWN homes for our behavior, our energy & how we parent. 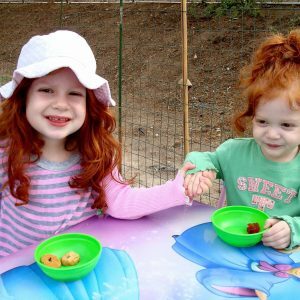 Anyone who is a part of a child’s life can benefit from this online course whether you are a: parent, expecting or pregnant/parent-to-be, grandparent, aunt, uncle, cousin, nanny, manny, neighbor, friend, babysitter, relative, child caregiver, therapist, or human being that cares about children. Prana Boost is a Global Transformational Company & Community focused on shifting lives & elevating consciousness to the highest frequency & vibration of ♥LOVE♥. Our mission is to create & invent products, services, environments & communities that support this Global Transformation. We invite you to connect with us & join us as we evolve & introduce our inspirations to the World! 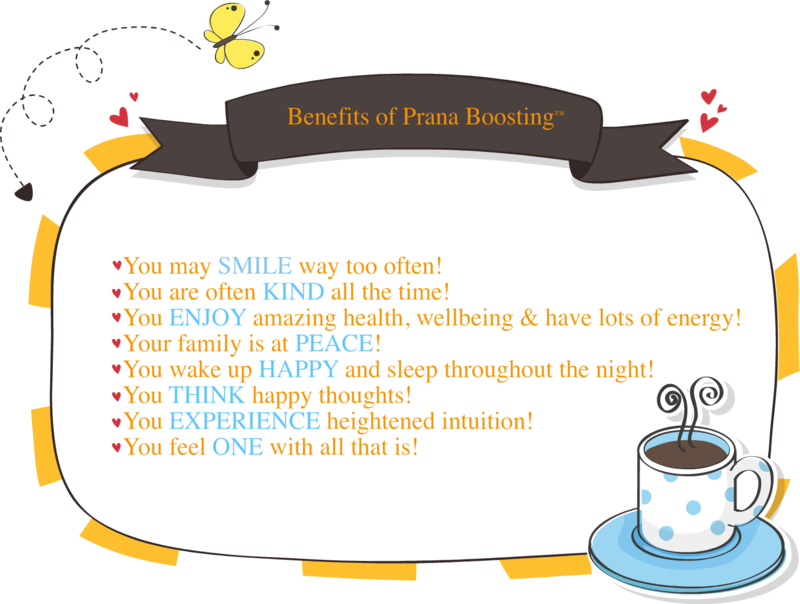 What is a Prana Boost™? 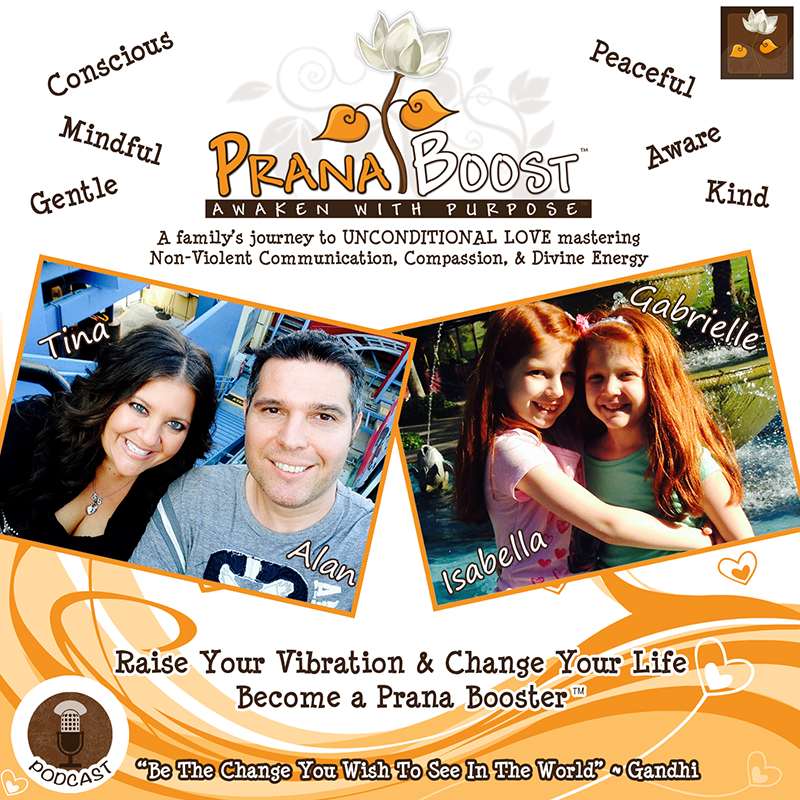 What is a Prana Boost™? A Prana Boost is a term that we invented in our family to “ask for” when needing some assistance & when noticing someone’s energy is disconnected or misaligned. I define disconnection as really an emotional breakdown, freakout, tantrum, misalignment or discomfort… whether it be fear, anger, frustration, sadness, or confusion. I taught our girls to say this when they were mindful of an uncomfortable emotion they were feeling. 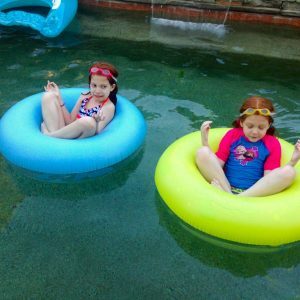 A Prana Boost is an “energy boost” and it can be a hug, holding a hand, a smile, a wink across a crowded room…it simply occurs when our kids feel they need to connect with themselves but don’t know how…this is when they need US most. Almost as if they momentarily lost their way and need me/us to help guide them back to their connection to themselves. We offer them a Prana Boost without shame, judgment or guilt, just knowing they can count on our strength and feel safe coming to us. I need a Prana Boost™. I am a Prana Booster™. I am out Prana Boosting™. Thanks for Prana Boosting™ me. Prana Boosting™ is a scientifically proven technique to re-train your brain with positive thoughts and messages. A Prana Boost is a loving “lift” from someone or some activity or internal shift that helps you shift your Prana a.k.a. Universal Life Energy from FEAR to LOVE. Sometimes we don’t need a lecture or advice, we simply need a smile, a wink across the room or a hug. It’s all we need to know that we are “OK” and we can notice our fear or disconnection and discover a way to find our way back. It is ok to feel emotions even negative ones. To Learn More about Prana Boost, please visit PranaBoost.com to READ MY BLOG, WATCH &/OR LISTEN TO THE PRANA BOOST SHOW™ PODCAST & more. A new LIFESTYLE, A new MINDSET, New Beliefs ~ A new way to view PARENTING & FAMILY FOREVER: A Co-Operative Parenting vision of unconditional LOVE created with peace, mutual trust & mutual respect, awareness, intention, AHIMSA/nonviolence, positive influence, emotional intelligence, intuition, compassion, empathy, vulnerability, connection & fun. so they can then connect with others next. This is a NEW WAY to live! 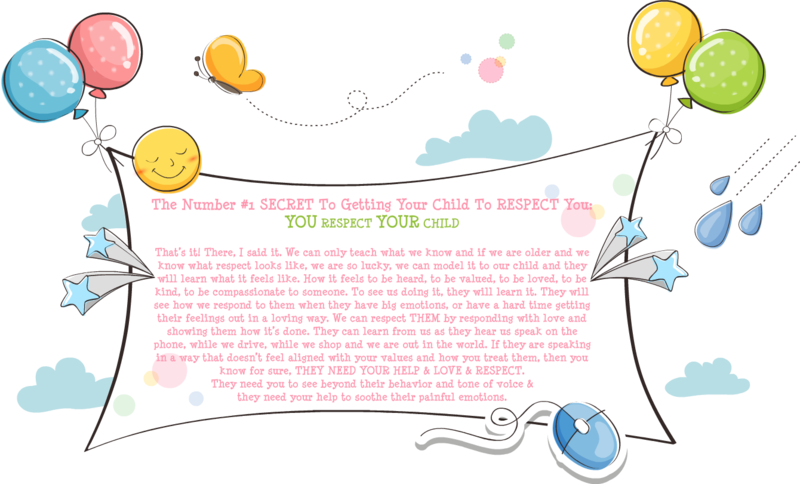 This is a lifestyle that feels better and is loving and respectful of the children we bring forth into this world. 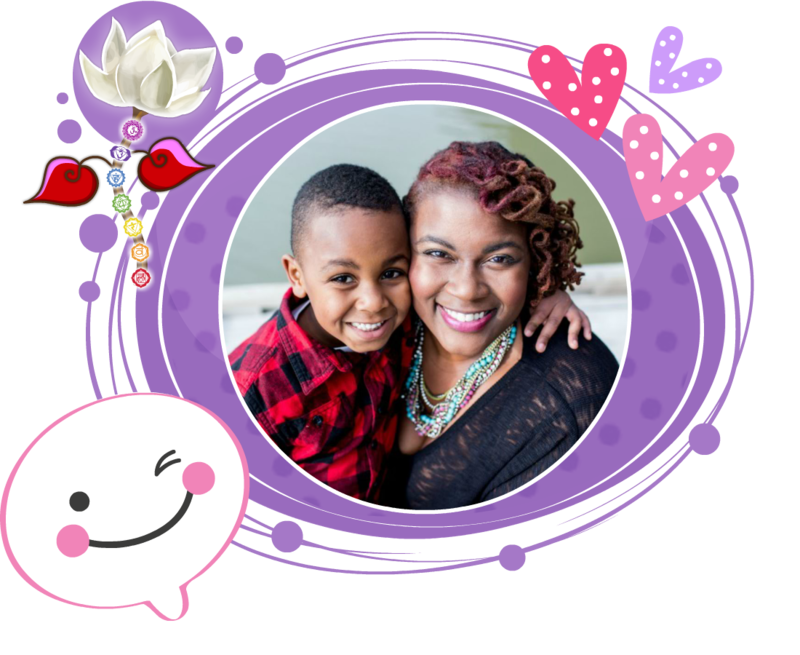 I inspire parents & families to create happy, peaceful families through unconditional love, connection, compassion, & communication. 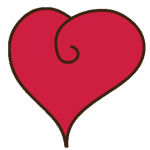 I help integrate Unconditional LOVE & Mindfulness into homes, families, lifestyles and hearts. How can any of these statements be true if WE ARE IN FACT LIVING THIS WAY? WE ARE LIVING IN A HAPPY, LOVING, CONNECTED, PEACEFUL, MINDFUL, AWARE, CONSCIOUS HOME. What does this mean? This means, we are all aware of our own emotions and behavior. We understand that we are connected to each other and that we affect one another. 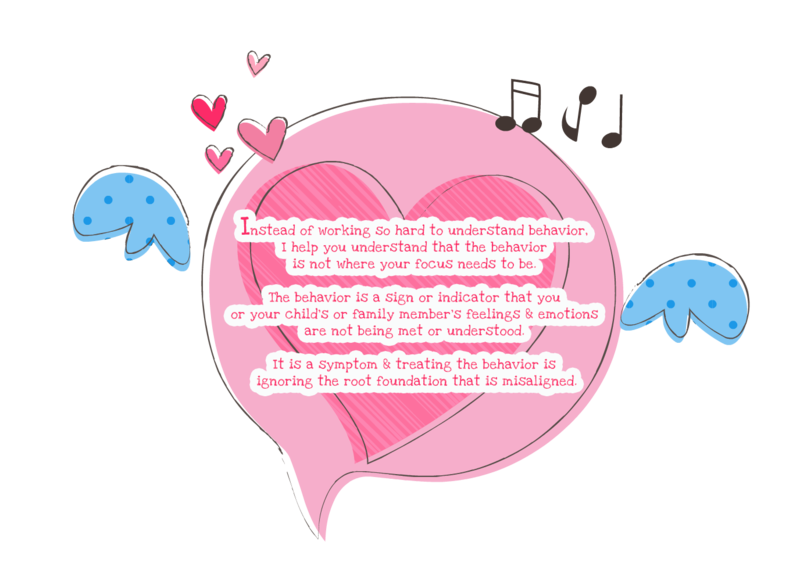 This does not mean there are no emotions, or we do not argue or lose our tempers or freak out, but when we are mindful of our behavior and CONNECTION AND LOVE are our greatest priorities, these emotional emergencies (a.k.a. 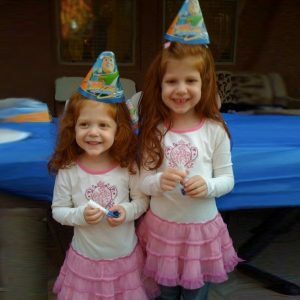 tantrums, fights, disagreements, freak-outs, etc. ) look very different. We spend a lot of time on creating a vision for our family that feels good to ALL 4 OF US, building our emotional awareness & intelligence and connecting with each other. All of this IS possible if you nurture your relationships before anyone gets heated or misaligned. This way during emotional emergencies you have the trust and influence you need to help & lovingly realign everyone involved. 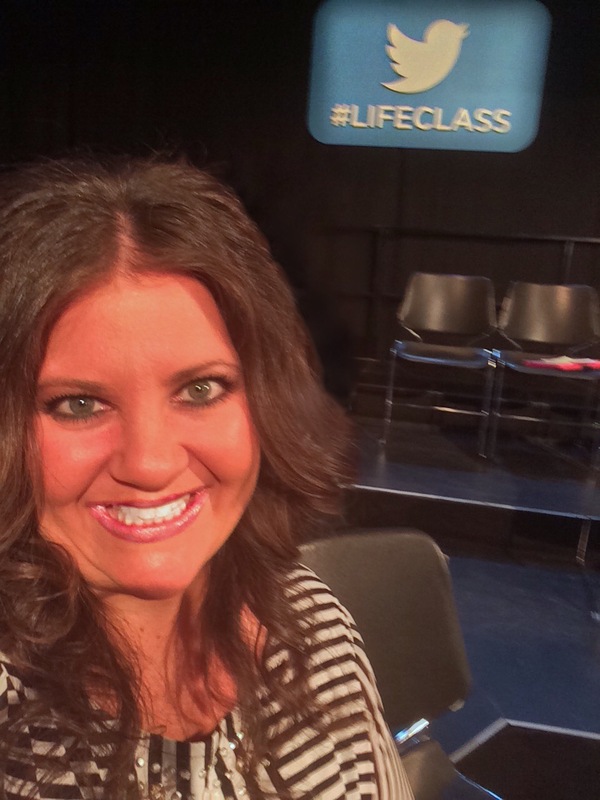 I was an audience member chosen to speak on the OPRAH show & told her and her entire audience that it is actually possible to live another way. It IS actually possible to be a Mindful Parent and we are doing it and YOU CAN TOO! 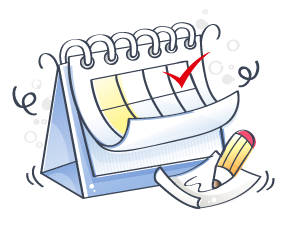 Overwhelm – Where do I begin? I know, I hear you. This was not something we could do overnight. This is NOT a quick fix. This is something that will require TIME, ENERGY, COMMITMENT, WILLINGNESS, PATIENCE & LOVE. The good news is that I have been studying this for over 25 years (even more if you include my time on EARTH manifesting & dreaming & envisioning this NEW WAY and birthing it into life!) I am here to help you and guide you. I will show you things that you CAN DO IMMEDIATELY to create a shift though. Even 1 or 2 changes to your current lifestyle will dramatically improve your family life. Fear of Failure – You may feel scared that it is not really possible to live another way. I understand this too. Sometimes it can seem so far away from what we are experiencing right now that it just doesn’t seem possible for us in our lifetime. I can promise you that in time you will begin seeing changes in your family and in your relationships that will help you start to believe in the possibility of living a better life. Once you experience some of the benefits this will help you keep going when things are challenging. It’s worth it take my word for it. Lack of Knowledge, Resources, & Support – You are not even sure where to look to start this process. This is where I come in! I will share my knowledge and expertise and my resources. I will be your guide on this journey showing you where to look and inspiring you to connect with how you feel. Together, we will hold space and “hands” to cross this bridge so you don’t have to feel alone anymore. 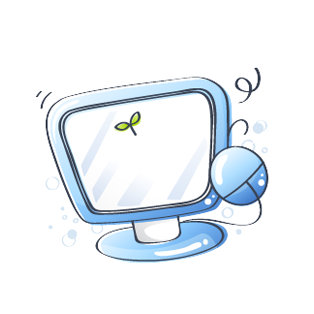 You’re Too Busy – We are all TOO busy with many things in our lives, but we need to prioritize. 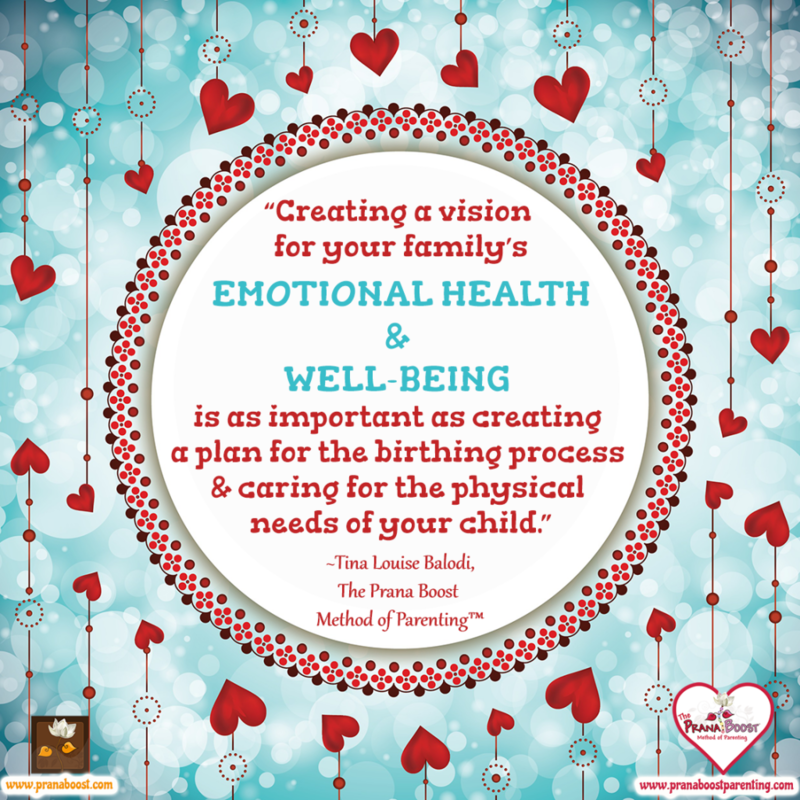 The EMOTIONAL & PHYSICAL health and well-being of ourselves and our families has to be #1. We can choose to create space and time for something so spectacular and life altering that will increase our health, wealth & happiness. We can see changes by just shifting some of our thoughts, behaviors and actions. Who doesn’t have time for JOY, PEACE, ENERGY, & LOVE? Fear of Disapproval, judgment & criticism from Relatives & friends – This is a biggie. Honestly, I will tell you that this is a fear we have to work on transforming into our greatest power and inspiration. First off, trust me I am going to take a guess, but if you are a human living on this planet, you are already probably experiencing some disapproval, judgment & criticism for how you live even right now. Change is not easy. It actually creates a chemical imbalance in your brain. The benefits of upgrading your life are so amazing and you will gain a confidence that will allow you to become an advocate for yourself and your family. No MORE PEOPLE PLEASING! 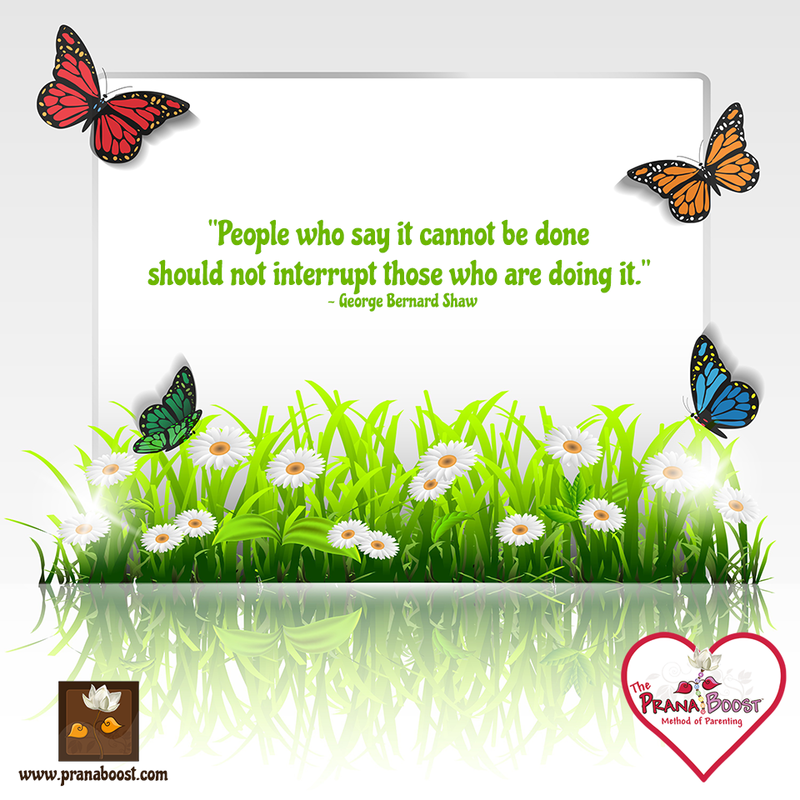 I will help you speak up with Love & Compassion in The Prana Boost Way™, while you let everyone in your world know that you are in charge of YOUR life. You are the MASTER CREATOR of your reality and you get to decide your lifestyle and your boundaries. I show you how to handle what I call FPP=Family Peer Pressure™. Though it may feel challenging at first, once you become more comfortable, you will honestly be helping everyone around you rise up to their greatest selves. We do live differently, I admit and some might say we don’t live in the “REAL” world. We sure do, we just don’t live in “their” world. We all live in the “REAL” world. In fact I just finished vacuuming and I am doing laundry as I write this today. We still have faced similar challenges of every human, parent, and family including but not limited to: school/college, extended family drama, family divorce, dating, owning a business, marriage, death, pregnancy, childbirth, breastfeeding, bathing, teething, fighting, cooking, shopping, fear, working, paying bills, minor health issues, sleeping, potty training, brushing our teeth, losing teeth, ANGER, loud public tantrums, schooling/educating our kids, bankruptcy/debt, money problems, etc. We have been through saying goodbye to naps, saying goodbye to homes we lived in, saying goodbye to loved ones including family & also our Golden Retriever, Jasmin at only 5, saying goodbye to pacifiers, etc. We experience everything, the good, the bad, the happy, the sad; we just experience all of it differently than most. I PROMISE to explain all of this and you will see that it happened organically and not overnight. You will see that we are a typical family in many ways, we just live by different core values. 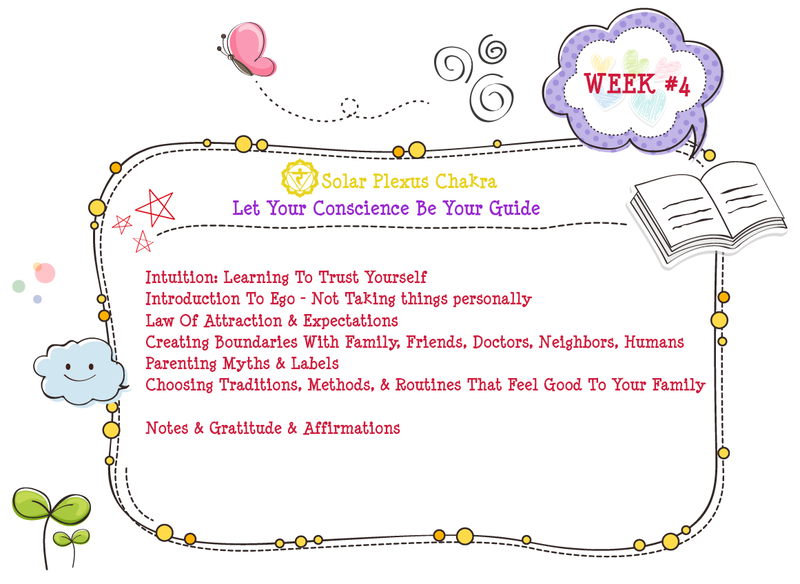 Our girls are 12 & 14 and we have been working as a family to decide HOW we want to feel, what is MOST important and to understand that our connection to ourselves and each other and our own energetic alignment are the most important things in our lives. Growing up I felt sad, scared, disconnected, misunderstood, & alone. I felt as though I was an alien dropped off on a planet where I didn’t fit in. I never felt heard or safe. I was frequently physically sick with asthma, bronchitis, & pneumonia. These were all Heart chakra ailments. I didn’t like yelling or violence of any kind. I didn’t know who I was or feel I was worthy. I longed for people to care about my BROKEN HEART as much as my physical health. I wanted someone to save me. I needed someone to honor who I was and comfort me, not make fun of me or shame me. I was always very deep, sensitive, and emotional. What I remember most is our family had NO coping skills for conflict. What I remember most is DISCONNECTION. Disconnection individually and to each other. I was never really a rebel as a child or a teenager. I had so much fear all the time. I was not like other kids who thought they were invincible, I thought if it could happen, IT WOULD HAPPEN TO ME. So I was always very cautious and mindful even before I knew the meaning of those words. I also have always had a heightened sense of awareness. I would notice things and pay attention to things that no one else was bothering to see or wanted to discuss. I am sure that it was challenging to my parents and anyone that knew me. I really didn’t understand life and feelings and emotions but I really wanted to understand. The problem was that most people I knew including my family wanted me to “accept” everything as it was and not question it. My teachers wanted me to silently absorb their words and lessons without any inquiry into the feelings it created within me. I grew up craving connection & answers. I knew there was more to life than we could see with our physical eyes. I knew that I was here to SHINE MY LIGHT & to Raise The Vibration of The Planet, but I was unsure of how to accomplish this. I was afraid ALL THE TIME…ABOUT EVERYTHING. As I look back, I now understand that what I really wanted was to feel safe, to feel heard. I cared how I felt and how other people felt. I was also an empath & Clairsentient who could feel other people’s feelings, even when they didn’t speak of them. I wanted a connection to something larger & to myself and to others. I wanted to know my purpose. I thought I was the only one who owned Oprah’s 20th Anniversary DVD collection set. As soon as I became pregnant I thought to myself, if I was sharing food with my unborn baby, then perhaps we are sharing emotions, thoughts, energy & feelings. 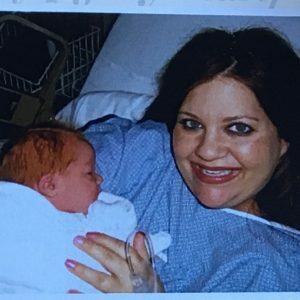 Then, I became a Momma and my life’s mission was to create a comfortable, safe, peaceful, kind connected family. I began to question everything. What we ate, how we would educate our girls, how we spoke to each other & how we would handle life’s challenges, emotions & conflict. 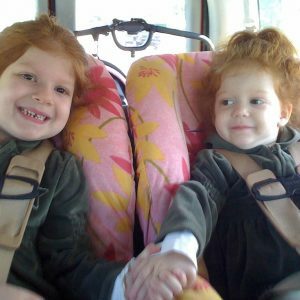 I dreamt of having a connection to our girls that was so strong that I could lovingly guide them and love them the way THEY needed me to. I never felt good enough, but because of our girls, I knew I had to shift & transform these feelings so I could inspire them to feel loved, connected & worthy. 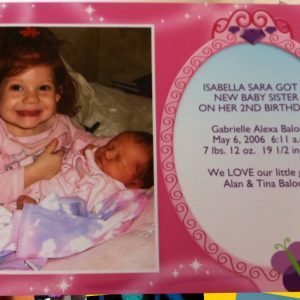 I can remember taking birthing classes and a tour of the hospital before our first daughter was born. They showed us things like diapering, burping, how a baby should sleep in the crib. Now I look back like seriously, are you kidding me? My kids can do all of these things with no lessons and they are teaching this to full grown adults? 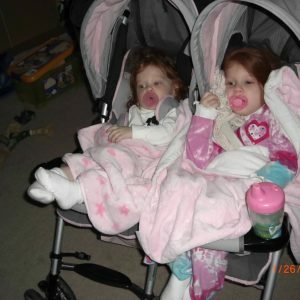 I’ve seen our girls make clothes, diaper and feed a doll with no problems and no classes. We, however, even with our education and or college degrees have been taught no skills whatsoever to deal with the trauma of anger, conflict, emotions and fear. I think it’s imperative we educate ourselves and continue to learn and grow and understand ways we can consciously handle conflict in a kind, nonviolent way. I don’t think as we plan to become parents and choose room decorations and have baby showers, we are properly prepared for the emotions that may surface when the baby arrives into our lives. We are not often prepared to “parent” we are merely sometimes prepared to “care” for the physical needs of the baby. It’s important to understand that often we will react subconsciously in the same way we learned as we grew up. We may yell or cry or punish because it’s what happened to us. Becoming a parent, I can now see clearly so many things that are triggers for me that bring up fears or past pain that I have never dealt with. The absolute truth is anger scared me as a child and it scares me as an adult. I always feel it’s so silly. I mean what does it solve? Yes, it shows up to inform us that we are on the edge, can’t we see we are on the edge before we get to the edge? Do we have to “blow up” to know our cup is full or we are not feeling good, or we are in a bad mood? Can we learn to tune into our own feelings and align our energy? I know the “reality” speech that life gets in the way, lack of sleep, or we can’t be perfect might be an excuse to act out of control or hurt the ones we love, but no way, not in our house. It was and is unacceptable to harm each other verbally, physically, or energetically. My husband and I decided it was also unacceptable to NOT learn, grow and evolve. It was important to consciously do the work involved in taking on these new roles as parents. 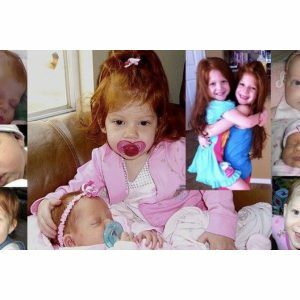 Beyond pink blankies, c-sections, pacifiers and nursing, there were emotions to be honest about. There were new things to learn and we would need new ways to deal with all of these new emotions. As a parent, I wanted to feel safe in my choices for my family. 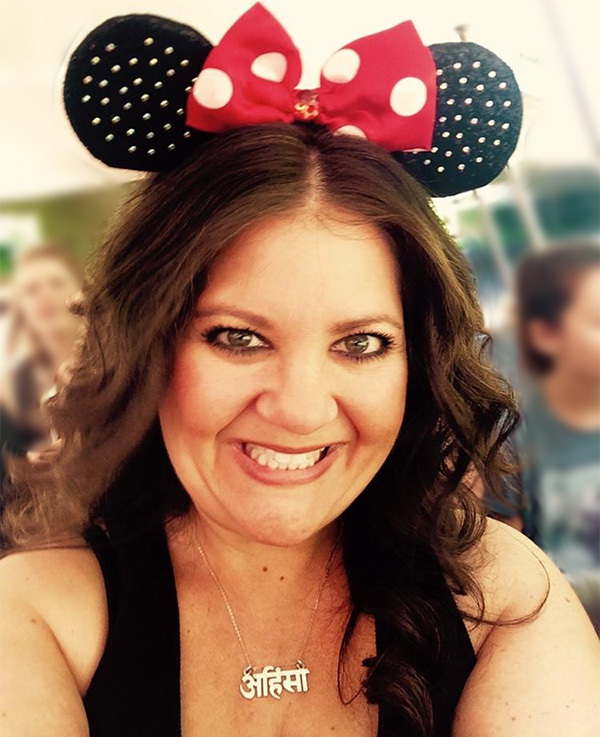 I wanted to create my own custom vision & lifestyle that fit our family’s needs specifically. I wanted to follow my heart. I dreamed of creating a home, family, & marriage that felt safe, fun, loving & connected. It never felt good to me to blindly follow the ways other people told me to parent or how to feel. Because of my desire for connection, I became a Seeker. I would look anywhere and everywhere to relieve this pain inside. I became so curious. 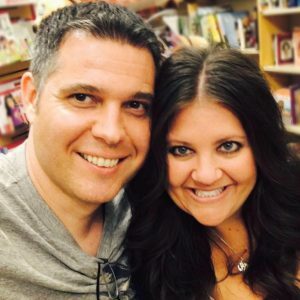 I, along with my hubby, read over at least 1000 self-help, personal growth and metaphysical books only to learn that in order to find the connection we longed for, I had to get quiet and still and go within. Once I did that I became quite rebellious. I began to trust my inner voice. I connected with MY own intuition. I learned that it’s safe to be me. It’s ok for me to follow my heart and for my husband and I to create a life & a family that feels good to all of us. Then, I did exactly this; I followed my heart and found a way to listen to my own intuition. There was only one problem, I always felt guilty about it. When people questioned our decisions, I was hurt, angry and wanted to defend myself so loudly. I wanted to react and go to court to prove my point! I needed to lovingly find a way to honor our needs & desires while honoring our past, our traditions, and our extended families. I dreamt of being strong enough to design our own lives. I knew there must be a better way to live and to raise our family. I wanted to stop the insanity and break our family legacies of pain, guilt, secrets, shame and trauma. 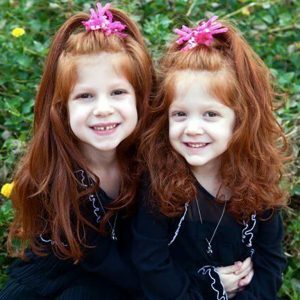 I was given the blessing/responsibility of 2 beautiful daughters who I wanted to nurture and love and send into the world with a loving kind consciousness. To give them a foundation of compassion, trust and a connection to themselves and us that would be so strong and powerful. It was now my responsibility to look at my family and myself and decide how to begin the healing. And we did it. We have a loving, mindful, peaceful, connected family and it’s exactly what we desired to create. Once I really began to trust myself, and I realized how happy, mindful and loving our family is, I was able to forgive and release my feelings of guilt. I now shifted to gratitude. Once I learned about self-awareness, I found my own inner strength. I was waiting and waiting for everyone else to change and they didn’t…so I had to go within, change myself. This journey was not easy and still isn’t at times. It isn’t for anyone looking for a quick fix. It takes hours and hours to help a child align their energy and reconnect with themselves. It requires willingness, commitment, courage, patience & lots of love. Oh, but the rewards of choosing to follow your heart and honor everyone in your family is worth it. I am here to say that there is another way to live. You can parent with LOVE instead of FEAR. You can learn how to honor your emotions and cope with them in loving, nonviolent ways. You can unlearn what was taught to you that doesn’t resonate or feel good to your soul. Willing to get curious, ask questions, willing to step outside of your comfort zone, willing to speak up, willing to find a way to quiet the voices in your head from the media, your teachers, your parents, your friends, etc. So you can hear your own intuition. What happens in our families both mirrors and contributes to what happens in our societies. It’s really hard to prepare yourself to be a parent no matter what you read or observe, because until you experience it, you have no idea what emotions will surface in YOU. Many don’t understand our modern challenges…We face more information than has ever been available, more decisions, more options than ever. Our parents and grandparents were worried about buying food. We are still worrying about buying food, about what food to buy, Organic or NON-GMO and then deciding WHAT we should even be eating at all. They understand more than you know, they feel more than we think, they hear EVERYTHING & REMEMBER EVERYTHING…they are brilliant beyond belief at very young ages and they deserve our willingness to view them in THIS new light. You can read everything you want & talk to other people to get advice and at the end of the day all that matters is how you and your family feel. This is how you determine if your current parenting approach is working and successful for YOU. The Prana Boost Method Of Parenting™ a.k.a. “Feeling your way through parenting” is knowing that you cannot truly decide how you’re going to parent before you become a parent. 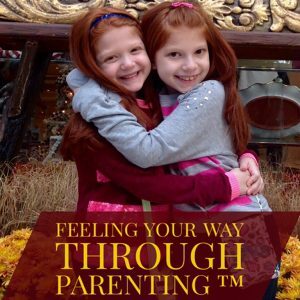 This course is meant to be used as a guide to inspire you to approach parenting with a FOCUS ON FEELINGS & EMOTIONS. It’s not only about figuring out what to do or say it is figuring out HOW YOU WANT TO FEEL. “It’s time to stop punishing and disciplining…its time to start feeling™. I am going to show you how to shift your thinking and align your energy to the vibration of love. You will learn the importance of Raising Your Vibration, How To Raise Your Vibration & How to Maintain That Higher Vibration. How to Get Clarity so you can decide WHAT YOU WANT and how YOU WANT TO FEEL. I will show you How To Use Your Intuition to guide your decision making process. I will show you how to focus so much on your OWN growth, change and evolution that everyone around YOU will wonder what magic SECRET DID YOU LEARN. I will show you what it looks like to have a HAPPY, HEALTHY, WEALTHY, HARMONIOUS, PEACEFUL family and marriage and/or relationship. I will help you understand that honoring all of your emotions is the key to a peaceful family. Each and every emotion has a purpose and is part of your journey. 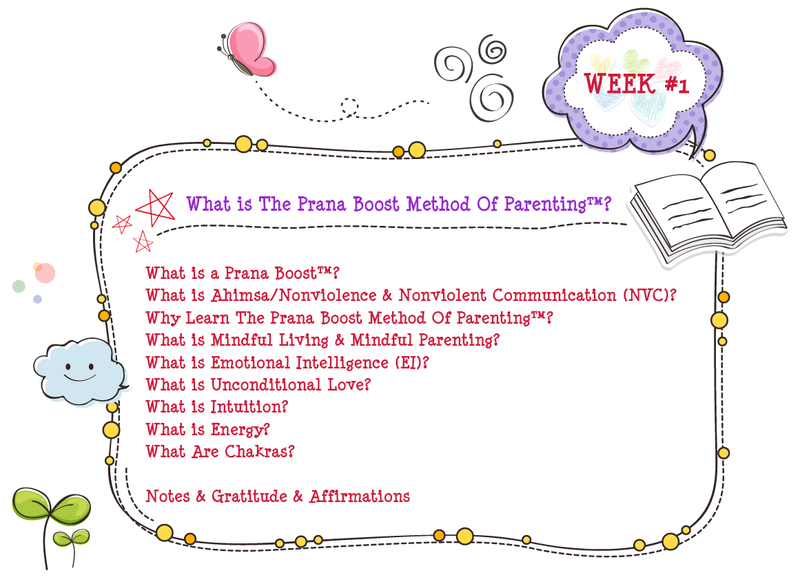 Together as a family we created methods, techniques, traditions and concepts that I share with others called, The Prana Boost Method of Parenting™. I am the author of the forthcoming book that will introduce our story and describe The Prana Boost Method of Parenting™. I will teach you how to UNLEARN all you know about parenting that doesn’t currently work for your family. I will show you how it is possible to create a family that works together to create a peaceful, respectful, loving & sacred home. I will show you how to build LOVE, CONNECTION, & TRUST within your family so you can have the positive influence you desire. I will share how to build life-long connections with your children at every age and stage. I do this by sharing techniques that focus on NONVIOLENCE, through a commitment of expanding consciousness via Mindful Language, Mindful Thoughts, & Mindful Actions. You can learn how to honor your emotions and the emotions of others and cope with them in loving, nonviolent/peaceful ways. You can unlearn what was taught to you that doesn’t resonate or feel good to your soul. You have to be willing. Willing to get curious, willing to be uncomfortable, willing to ask questions, willing to speak up, willing to find a way to quiet the voices in your head from well meaning relatives, teachers, your parents, your friends, social media, etc. so you can hear your own INTUITION. No matter what you face: co-parenting, divorced parenting, etc. Learning to parent from the heart will change your life, change your family, which will change our world. I am just like you only I am the upgraded aware, conscious, more mindful version of myself. Why was it important to raise my family this way? Everyday we are all influenced by so much outside noise and input that it can be so hard to figure out how WE feel. We are told how to feel by much of the world, family, friends, co-workers, and media, and it can be very confusing. But the important thing to know is that once you become aware and conscious of how YOU are feeling, you now have the power to shift your world. Growing up, I had no idea about vibration or energy. I knew if I didn’t “feel” good or not, but I didn’t understand that this was something I could alter at any time. Pregnant with our first child, I instantly knew that it was so important to become more AWARE of our feelings, sensations, and thoughts. I didn’t know why or how to do this, but I knew that it was important. When my hubby and I became parents over 14 years ago, many things in our life shifted, including a desire to really understand who we truly are and our soul’s magnificence. As we remembered who we truly are, we have created many mindful new habits in our lives. We have shifted everything from our eating habits, to shifting our language and thoughts, and we have a new awareness around how we exist in the world today. Much of our energy work begins in our homes/living spaces. Everywhere we go people say your kids are so well behaved. You must have really threatened them or bribed them, they say. They ask me, how do YOU do it? It makes me want to scream from the rooftops…DON’T GET ME WRONG, I APPRECIATE THIS COMPLIMENT, BUT I want to say to them that they have no clue, no idea how much time has gone into the result they see and label as “good behavior”. 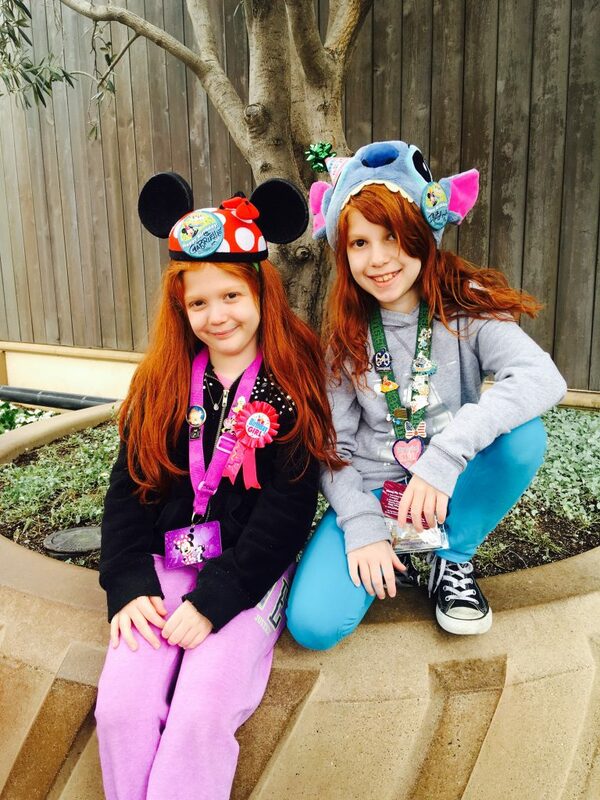 Our daughters are really happy, peaceful, kind, confident, loved & nurtured kids with aligned energy and connected parents. There is a ton of behind the scenes work involved here. They are not “behaving” they are just “being”. They are aligned and happy and respected and cared for and nurtured and LOVED. They’re connected to us, they’re connected to themselves, they’re connected to each other through LOVE & COMMUNICATION. LOVE IS THE ANSWER! 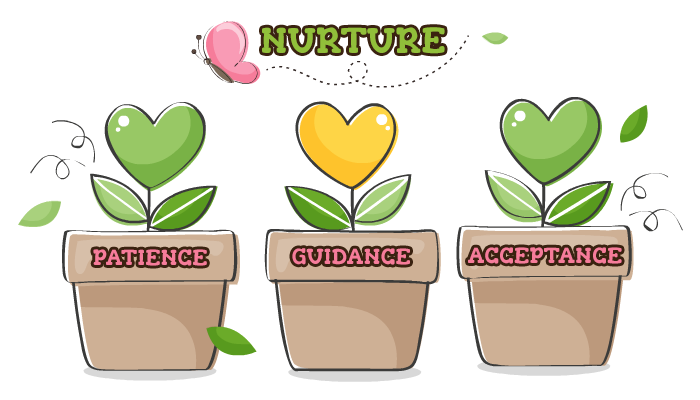 Take the time and invest in yourself and your family to nurture a relationship and connection which will yield the behavior results you prefer at home & in public. There are no shortcuts. Allow me to help guide you and and to become your Model of Possibility and introduce our lifestyle to you. I will help you shorten your learning curve by taking this 12 week online course that will introduce you to a new way of life. A life that essentially took ME/US over 14 years to LEARN, INVENT & CREATE. Ultimately WE are the ones responsible for our own ENERGY! We can look outside ourselves for all the reasons why we feel the way we do, but if we look closely INSIDE ourselves, we can see that we have the power every single minute to choose how we feel, react, think or LOVE! Choose Love every time and you will feel joy and peace! When you catch yourself not choosing loving thoughts, feelings, or words, go ahead and switch ’em. Be kind to yourself in that moment and CHOOSE another way to be. 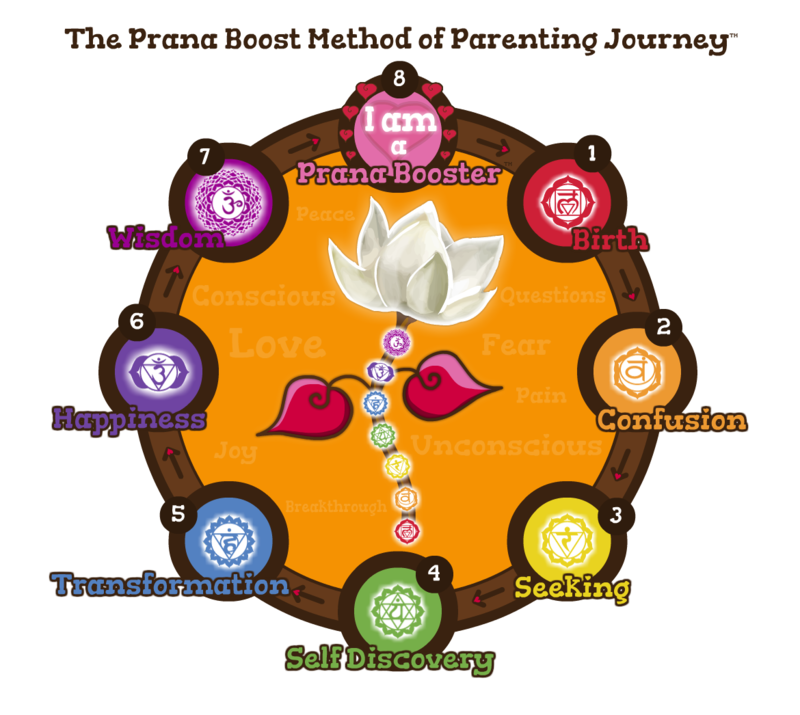 The Prana Boost Method of Parenting™ is an beautiful new partnership parenting paradigm, that is built on connection, mutual trust, love, awareness, equality, nonviolence, compassion, fun, joy, intuition, empathy, emotional intelligence, and energetic alignment. It can be described as a kinesthetic method of designing your very own personal lifestyle. This method of parenting will allow you to consider the option of replacing a very outdated parenting paradigm that you may be familiar with. The old parenting paradigm that is an authoritarian, controlling, fear based lifestyle can now be replaced for one based in PARTNERSHIP, peace and a love based lifestyle. It’s a huge responsibility to parent or care for a child. 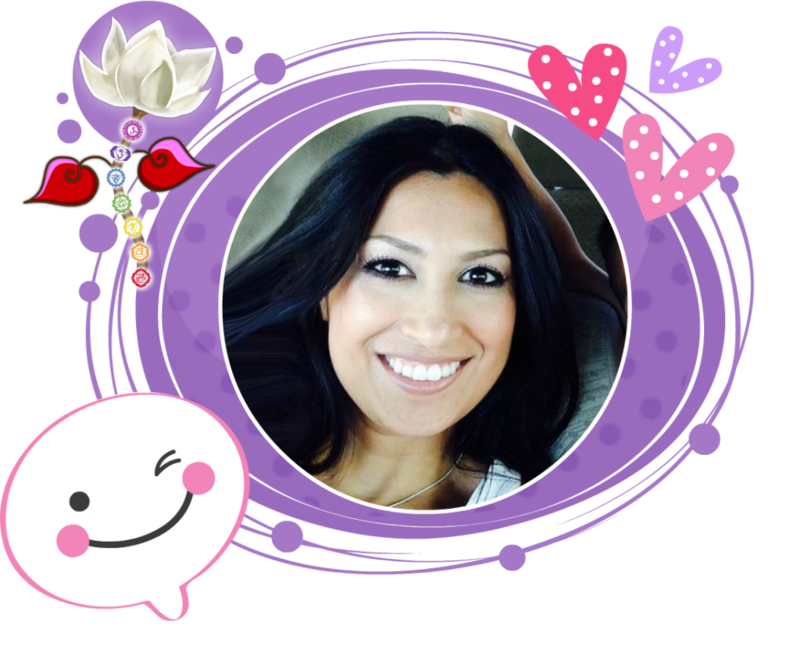 I inspire parents & families to create happy, peaceful families through unconditional love, mindfulness, connection, compassion, & communication. Living life according the The Prana Boost Method Of Parenting™ means we always have the intention to be aware of our emotions and the EMOTIONAL HEALTH of our family. This is our highest priority. This means noticing how we feel and how someone in our family feels at all times & especially after one of us have spoken to each other. Have our words added to their well-being & health? Are they aligned with our vision & core values for our family? Were they loving, kind and helpful? This doesn’t mean perfection, it means progress, evolution, awareness and growth. It is also our main intention to set our family up for success. This also means having compassion & empathy for each other and ourselves when we do not do this. Setting this intention helps us stay committed to our decision to live life a certain way. It does not mean emotions don’t flare and conflicts don’t arise. It just means that we have created a foundation for our family that we can always go back to. A comfort zone and barometer to help us work through our emotions. Once you intend for a lifestyle change though, you’ll find your days of joy, patience, laughter and forgiveness happen more often. 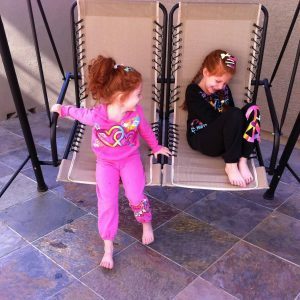 Our girls understand that they are first and foremost responsible for their own energy and their energetic alignment. 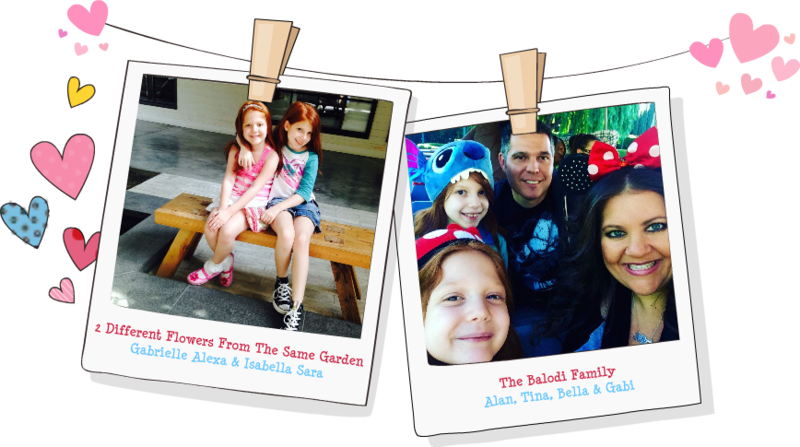 Our biggest commitment to our family is to be mindful where we focus our energy & our time. 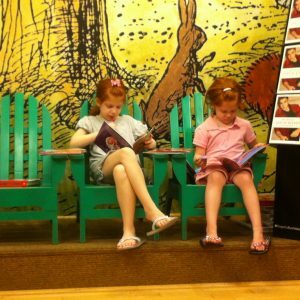 They see what we read, (& often play nearby) they hear how we speak & live & react. 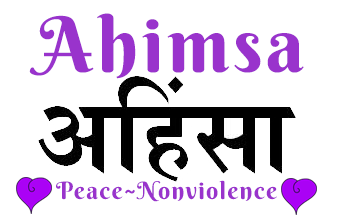 They are growing up in a nonviolent (Ahimsa) home and have never been punished. We feel the greatest gift we can give them even when times are tough for us & in the world is continuous Unconditional Love & Constant Awareness of our own energy. This is not a life of “perfection” it is a life of Mindfulness. When our energy & vibration seem low or off, we work to Raise Our Vibration! There is no point to wish for peace and harmony in the world, unless we are willing to offer it & be it first. Our thoughts, language, & actions must align with peace, love & kindness. Instead of the typical parenting scenario that we are familiar with, which is based primarily on the behavior & disciplining of the children, in this course you will learn that The Prana Boost Method Of Parenting™ is the exact opposite. 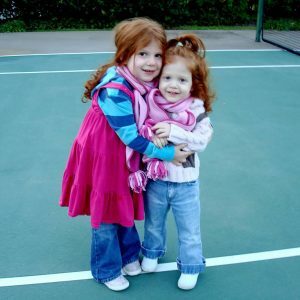 It is primarily focused on the the behavior & discipline of the PARENT, in addition to that of the child. We are the adults who have fully developed brains, we are the ones responsible for these little miracles we bring forth through us. We are the ones who must learn to exist in a calm, loving, peaceful way. We are in every moment guiding and modeling life, behavior, love, responsibility, language, consequences, etc. They learn from what we do, what we say, who we are, how WE act. They do not learn what we tell them to be, they learn what they see and how they live. You will need to become committed and have faith in ur decision to parent in this nonviolent way. Your faith cannot be wobbly or doubtful that this method works. Not having faith or having any beliefs or doubt is like being a little pregnant or having a diaper a little wet. It either is or isn’t. Your knowing and believing must be so strong and u must be rooted in these beliefs. I promise that this is the way to inner peace, love and joy. We will all experience conflict and emotions and difficult challenges but if you know exactly how u want to feel you can always come back to yourself and your core values. Our desire is that in raising our consciousness as parents it will allow us to shine our light so bright so others know they can shine their light in a loving way. We all have to decide what works for our family and our kids and our households, but we don’t have to do it alone. We will hold your hand as you cross the bridge to a new world. This journey is going to include a very unique father’s perspective: Imagine what a family looks like that has always had 2 parents home everyday together learning since our daughters were born. 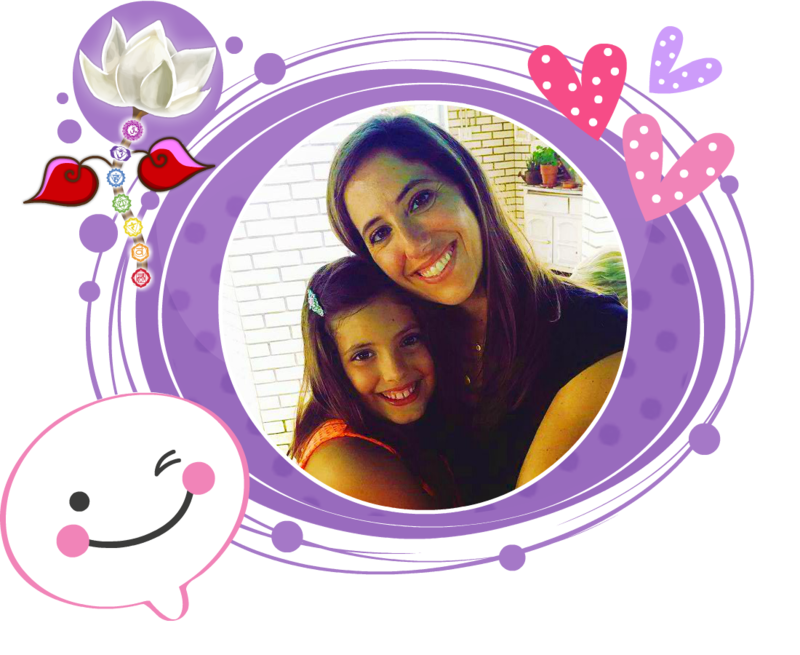 I will share intimate messages written to our daughters that explain a parent’s vulnerabilities. 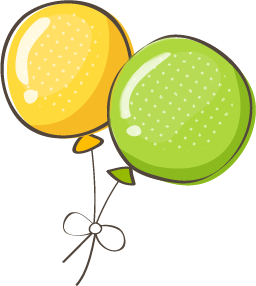 We will share information that you often can’t find in books or at your pediatrician’s office, or from a relative. 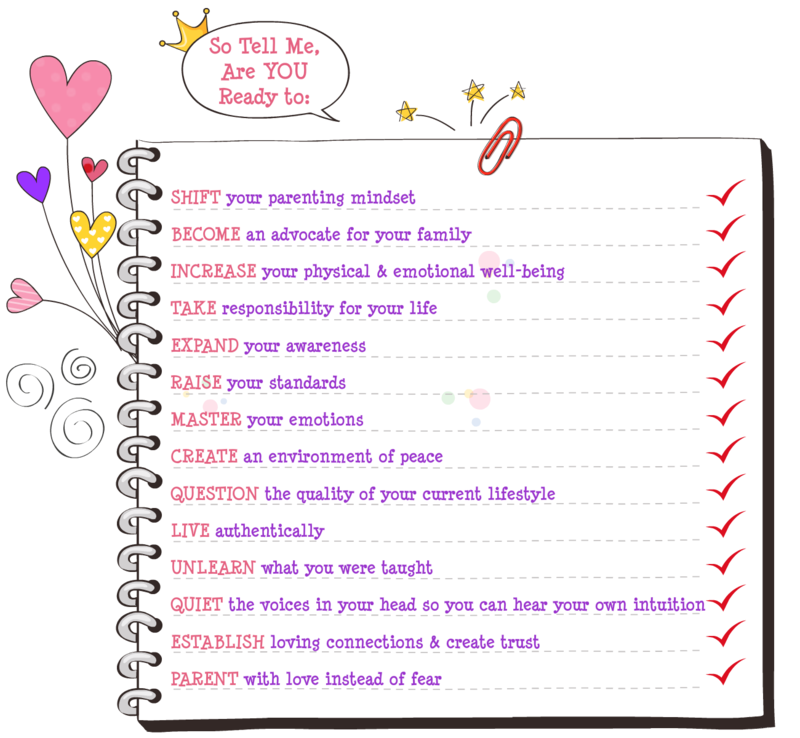 You will learn how to give yourself permission to be the parent you have always dreamt of being. 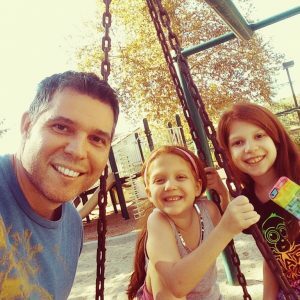 I will show you how to actually transition slowly into this lifestyle and slowly begin to build back the trust between you and your child/children. 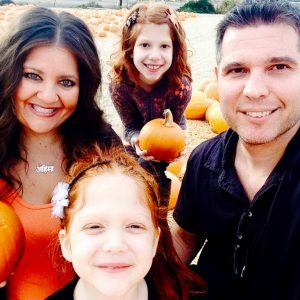 I had the pleasure of connecting with Tina on her podcast, The Prana Boost Show, where I was able to share my experience growing up with spiritual parents. My father, Dr. Wayne Dyer and I wrote a book together titled, Don’t Die With Your Music Still In You. It’s based on his 10 Secrets for Success and Inner Peace. As I grew older I was able to appreciate that my parents taught me about unconditional love & inspired me to access my own inner wisdom and intuition. In our book, my father and I explain, “You can’t solve a problem with the same mind that created it.” In order to come up with a solution to any problem, we must change the way we think about the problem. We must change our mindset, break old patterns and go within to “tap into the power of intention and create the life we most want for ourselves.” As a new mom to 2 beautiful daughters, I am inspired to learn new ways to look at parenting in order to create the family of OUR dreams. 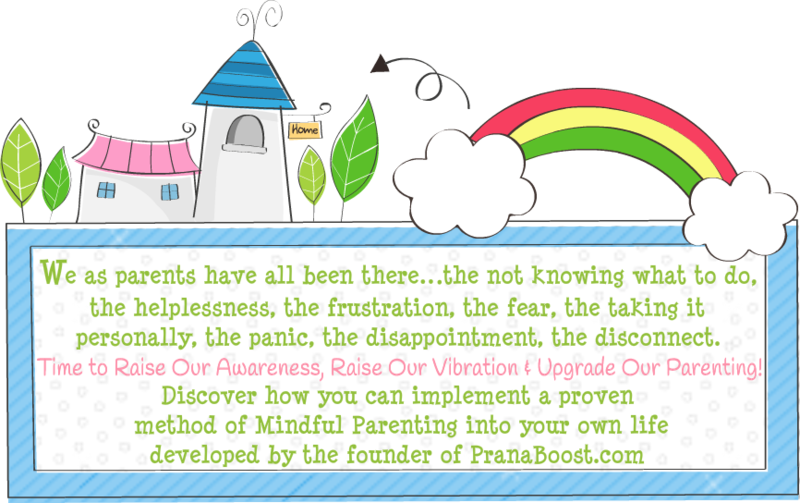 Prana Boost empowers us to raise our standards and change the way we look at parenting. 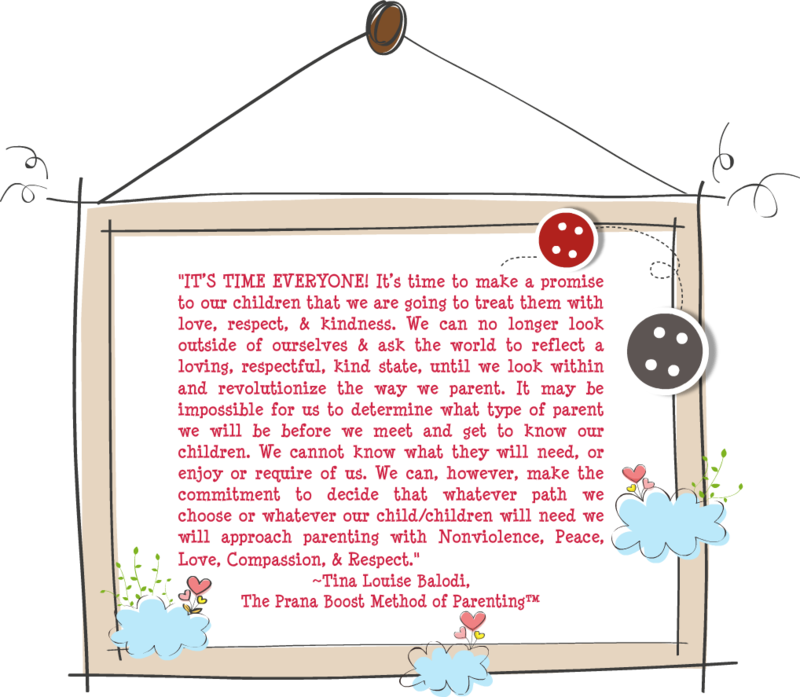 My husband and I have signed The Prana Boost Parenting Vow and I encourage you to learn all you can from Tina about creating a family based in love, compassion, and connection. Thoughts are energy and if you take the time to Raise Your Vibration to the frequency of Love, you will experience inner peace and success within your family; which will shift our world. I just wanted to share a story with you of when I became a “Prana Booster.” It happened today, the very next day after I attended your Prana Boost Workshop. I was at the hair salon waiting to get my kids’ hair cut and a woman walked in. She became extremely upset when she arrived to find out they had forgotten about her kids’ hair appointments. She was yelling and blaming and so upset and I wondered how I could help. I went up to her and told her that I could see she was upset and in a big hurry, so she could go before us and have our appointments. She immediately calmed down but said no thank you because she was more concerned with being right and proving that they forgot her appointments. I told her, she is right, and she can find out why they forgot to write down her name, however, right now she could solve her problem today, by taking our appointments. She finally agreed and thanked me letting me know that she was already late and was having a very bad week. I could have judged her and reacted offended, but after your workshop and learning not to take other people’s emotions personally, I chose to react with love and decide to help her out. In return, she was so relieved and kind and I noticed she was even kinder to everyone including her own kids after this. It felt really good to see this woman’s needs and help her rather than react with anger towards her. Thank you so much for creating Prana Boost and for helping me see this situation in my world from a place of love. Tina is the REAL DEAL. She is a living, breathing example of what she teaches. Her family model and experience continues to inspire myself and everyone in my community that gets to know Tina. Her and her husband are so committed to this work, and that gives me hope for our future. Tina Louise Balodi shares Krishnamuti’s wisdom, “What you are, the world is. 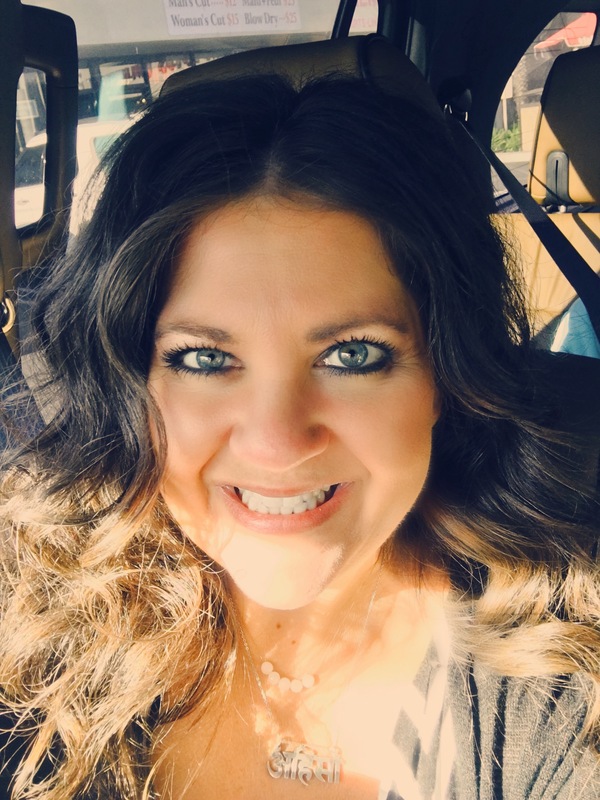 And without your transformation, there can be no transformation in the world.” Through these inspiring words, Tina invites us back to the self in parenting, to investigate our own thoughts, behaviors and consciousness surrounding our children. 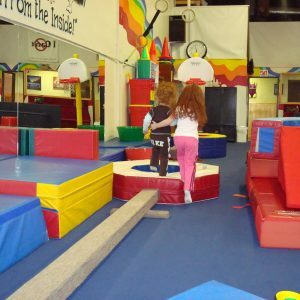 She puts a unique and conscious spin on the old adage, … “we teach best what we most need to learn.” Tina doesn’t teach; she embodies learning at and through every breath and models consistently and authentically new ways of being in the world with regards to our children. 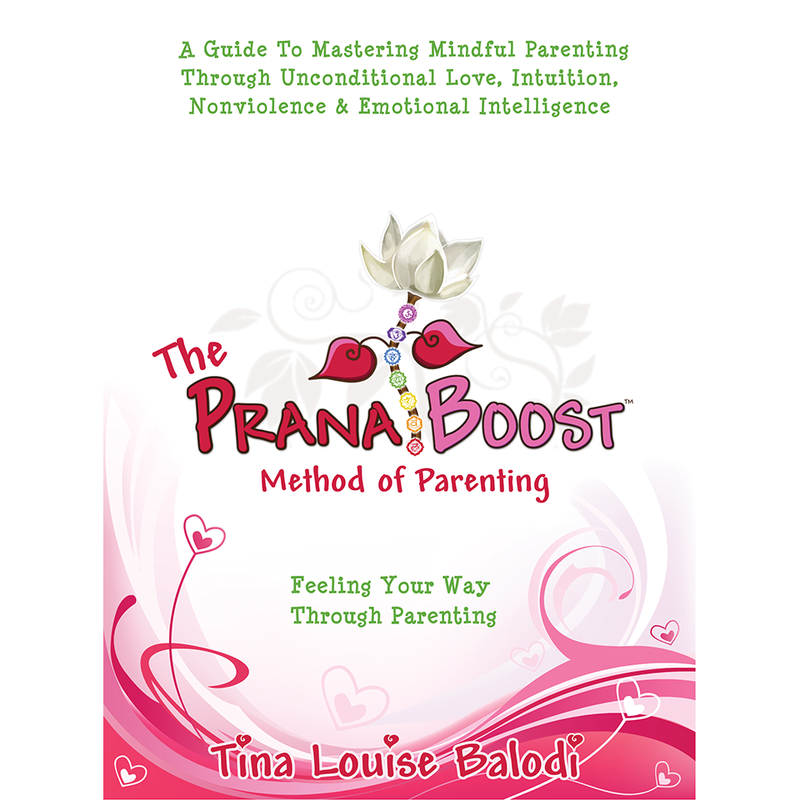 In her Prana Boost Method of Parenting, Tina espouses the unique concept of “Feeling Your Way Through Parenting.” Out with the old and in with the real, at every turn, Tina shines brightly as the soul ambassador for the children and families of today, heralding in new ways of nourishing, empowering and unleashing the majesty in our youth. Thank you so much for your time and connection! I have actually just recently started writing letters to Theo, I have only done a few. Where I tell him how much I love him. I have also written statements like: Theo is kind, articulate and smart. He is loving and he is growing up to be a compassionate person. A better way to state it is ‘He has been aggressive in the past and we all get a new chance to see things differently/be kind/be better at communicating our needs. Thank you for your vision advice. Creating in my mind the love and energy and interaction that best serves us all. 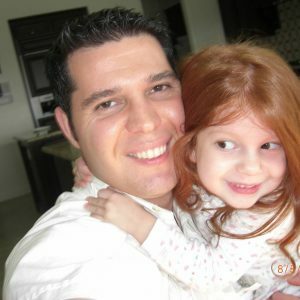 I have seen the change within myself, and I have seen the relationship with my daughter & son improve dramatically. It didn’t happen overnight but I can see light through the cracks and it feels so good. Our conversation today alone will have a ripple effect on our family dynamic. So thank you. 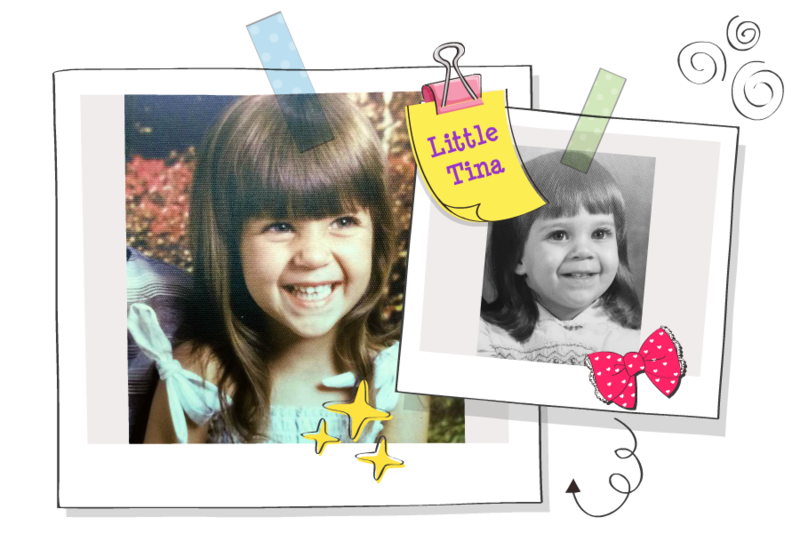 Tina has such an amazing gift — really it’s other-worldly! The way she’s able to dissect a situation and rebuild it so that it’s in alignment with not only your intention, but also with the highest good of all. She has a very special ability to see circumstances (and even the most unpleasant ones) in light and love. She’s the real deal! She goes above telling parents HOW to raise their children, and very gently guides you to understanding how to approach any circumstance from a Prana Boost perspective. 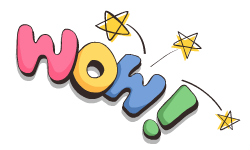 It’s truly brilliant! And she practices everything she teaches. You wanna know what I LOVE about Prana Boost?…. It’s that Tina’s work is judgement-free; there are instead only more-aligned choices. Tina’s not going to beat you up because of your choices, and you’ve got a support system with her. 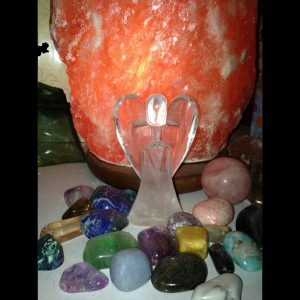 She’s very lovingly going to direct you back to your path — through love and light! It’s truly a remarkable experience to have someone hold space for you the way she does. Deepest gratitude! Namaste. I had the most blessed experience in consulting with Tina. I am a school psychologist and I know a lot about kids and development but I was having a little trouble with my three-nager. I asked her for some advice and she was quick to call me on the phone and talk! In my request I actually called my child a “brat” and after her loving advice I have never used that word to describe my precious child! She described to me how our children are a divine representation of love and we need to treat them so. I now write a book of positive aspects of her and focus on the best she is and therefore, I get the best of her back. As I see her that way she responds with the most loving beautiful nature that it makes my heart melt. These younger years go by so quick and I am so glad that Tina showed me the way in appreciating and loving her and instead of quick reactive discipline, we choose to react with love! After talking with Tina, I have seen Lilly in a whole new different loving perspective. We’ve gotten even closer & it’s been fabulous! I’ve done a couple time ins but that’s ok. I really adore her & just feel closer to her! Thank you sooo much, Tina! So blessed for your knowledge & expertise! So last night I did what you suggested. I sat with my 3.5 year old daughter, on her bed and we made a wish list on how to create peace while driving in the car. I suggested things that had to do with her car seat. I wrote them down on a little piece of paper and she placed it under her pillow. Then I got the rose quartz you gave us and explained how it was a special crystal and that she could borrow it for car rides to feel more at peace in her car seat. She held it to her heart which was so adorable then I asked her where she wanted to place it so we wouldn’t forget it the next day. Well today it went very well. She said twice it was too tight, I responded with where’s your stone? Keep it close. She didn’t cry or keep repeating it was too tight or try and resist the buckle. In the past I’ve distracted her with her learning tablet but this I feel is a more personal approach that she can connect to something and feel her emotions rather than being distracted by a game putting her emotions on the back burner. Thank you so much for this priceless advice. I think tonight I want to have her pull out her wish list under her pillow and go over with her our experience today in the car. Looking forward to seeing you Sunday. I have had the Divine blessing of meeting Tina through our conscious parenting journey and feel so grateful that our paths have crossed. Tina’s innate ability to be of service and share her knowledge with others is one unlike any other I’ve known. Her capacity of love for her family translates further into the work she does through Prana Boost from conscious parenting and overall conscious living. She is extremely well-read in her field and a trusted friend and source and her zest for sharing her insights is one that comes from her heart so freely. The world is a better place because of Tina. 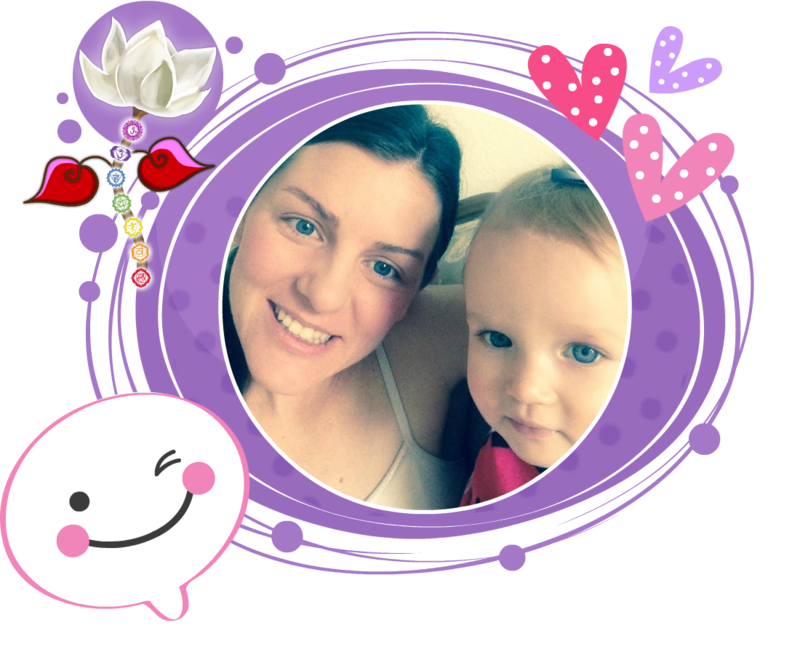 I’ve given up writing blogs about young Moms and their kids because my audience is in the older age range, so I’m ecstatic to have this resource that supports and nurtures parents so they can pass on the Love to their kids! Hi all you loving and devoted parents out there: I have something very very important to share and its a deep feeling still strongly etched in my heart and in fact seems to have settled deeply into the core of my BE-ing and to this day also generates unbounded waves of love and unlimited expressions of joy, happiness & mega heart smiles–its the day i was so privileged to be on Tina Louise Feldman-Balodi’s podcast, The Prana Boost Show™ and find out what she is up too in the World and the precious gifts she is showering everyone who is fortunate enough to be in her orbit. I was DEFINITELY one of those “Lucky” people!! Not only was the transmission between us an instant “Prana Boost’ for me heart and soul, I instantly fell in love with her devotion to service and I so respected, admired and was inspired by how she loved and worked so closely with her amazing hubby Alan and the AWESOME and caring bond she had with her 2 beautiful and brilliant daughters..who simply put are absolute Earth Angels!! As our friendship developed it was so clear that Tina was operating with a higher vibrating operating system when it came to nourishing, nurturing and holding the space for her family to flourish, grow exponentially and express more love and care for each other and in every aspect of their lives…the family Unity and love shared is palpable and extraordinary on every level! So my one thing to share with you all is this…Feeling Your Way Through Parenting…The Prana Boost Method Of Parenting Online Course is so valuable, transformational and truly Life changing for any loving and devoted Parent willing, open minded and determined to create a family unit with more love, care, peace, joy, intimacy and playfulness in their daily routine and moment to moment interactions. Tina’s research and experience is something so valuable. 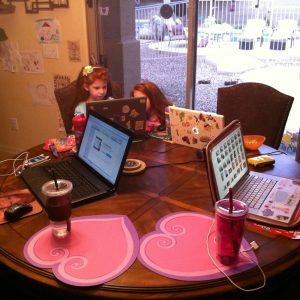 I believe that her parenting & lifestyle techniques are contributing to so many families’ well-being. If we want to evolve, we need to find ways to include compassion and understanding as our foundation for our kids, who are the next generation. I met Tina at the end of 2014 when I attended her Prana Boost workshop at Love Spa & Yoga. I thought I was attending a yoga/ meditation class. For the first ten minutes I was thinking this is not what I thought I signed up for but after connecting with Tina and hearing her explain what it meant to Raise Our Awareness and become more mindful and living a life with love instead of fear, I was very interested and couldn’t wait to know more. She spoke about transformational books and authors that inspired her including The Four Agreements, Louise Hay, & Dr. Wayne Dyer (my favorite). When I was ready to learn more, I started reading them too. I attended almost every weekly workshop. 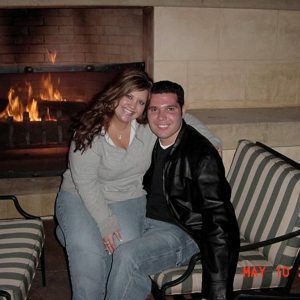 Soon after I met Tina, I was laid off from my job, yet somehow it wasn’t the end of the world. 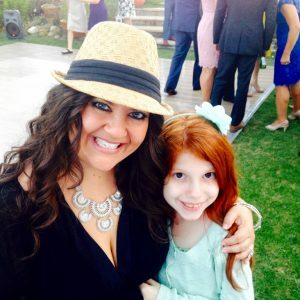 Instead of feeding into the fear, I accepted I had no control over what my company decided to do, and it wasn’t personal, but as Tina taught me I could manage my thoughts and emotions. Looking back was I was so unhappy and realized that this shift was really a blessing in disguise. I have also learned to focus on gratitude and appreciation. 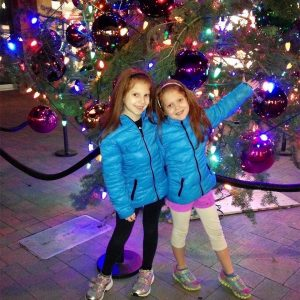 Since I became a Prana Booster, I am happy and peaceful more often than not and it has shifted my entire family. I enjoy sharing everything I learned from Tina and inspiring everyone I know. I am so thankful, grateful & blessed that Tina came into my life. 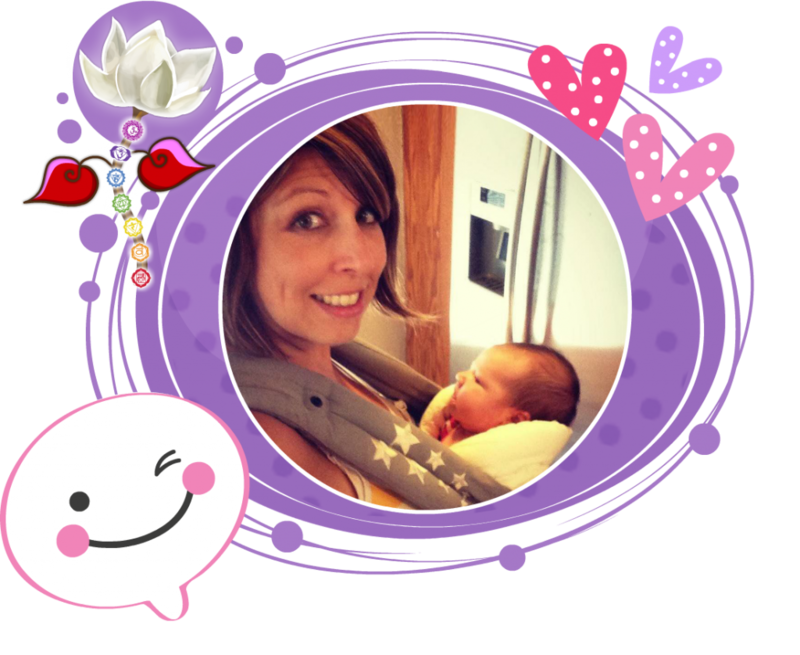 Tina has such a beautiful way of expressing and teaching Mindful Parenting and Mindful Living. 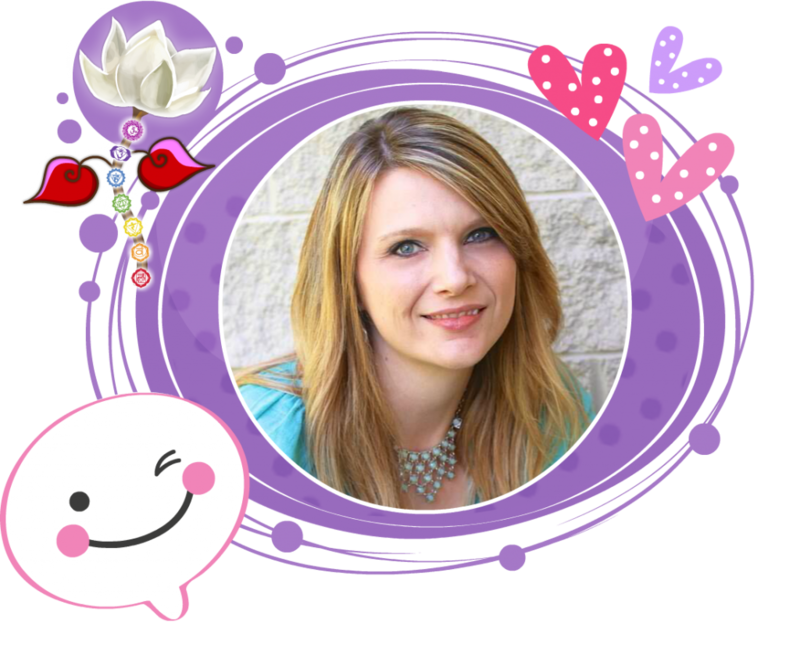 Her Feeling Your Way Through Parenting course is pure gold and will help any parent make deeper connections with their children as they learn to see and act from a place of love. 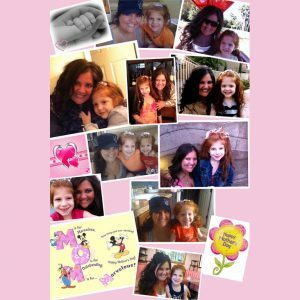 If you’re ready to transform your relationships and your life, I highly recommend her The Prana Boost Method of Parenting! I provide you with the tools, strategies, support & LOVE that you will need as you upgrade your life. I guide you to Raise Your Vibration by Shifting Your Mindset, Creating New Beliefs that are in alignment with your highest vision, & Elevating Your Communication & your consciousness. With a focus on Mind, Body, & Spirit together we will discover the vision you have for your life. 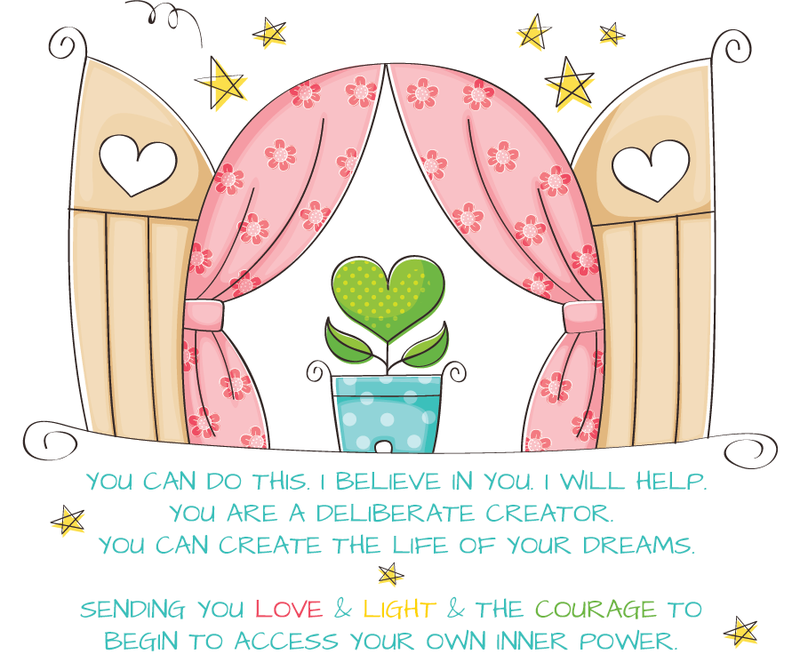 Together, we can Raise Your Awareness so you will feel your own personal power & responsibility/ability to create the shifts in your life that you dream of. With these abilities, we will build new patterns of behavior that help families thrive and support everyone’s hearts and spirits. When we HEAL, EVOLVE, & GROW ourselves, we then can create a world that is so beautiful, kind and aligned to live in. I invite you to be willing & open & have compassion with yourself as you learn and grow into your BEST most authentic self. 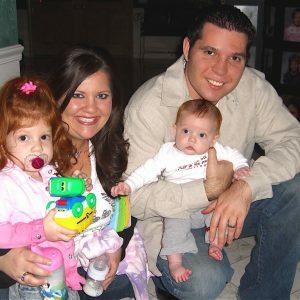 In this course, I share “our personal parenting journey, so far…” Our experience becoming parents, my experience becoming a Mommy and how it shifted my thinking, my husband’s thinking, raised our awareness, gave us strength we didn’t know we had, changed our marriage, changed our lives, and the lives of our family. 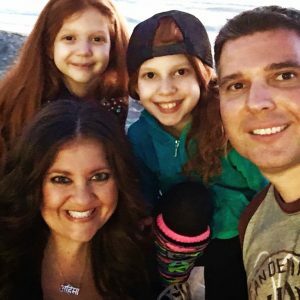 I am sharing with you our story of how we created a family environment that we all cherish, went against the “normal” and how we handle everyday life. 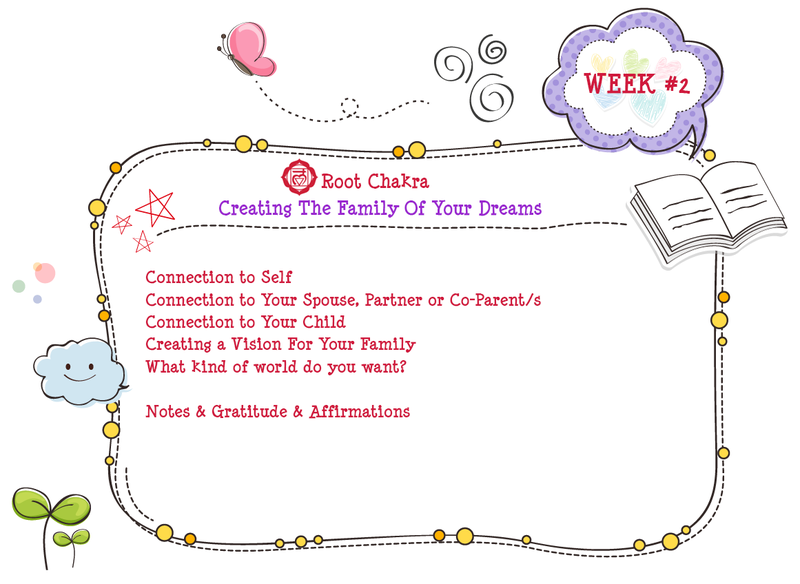 I will assist you in creating the family of YOUR dreams using The Prana Boost Method of Parenting™ and I will show you how to notice when you are disconnected from yourself and others, and help you re-connect when necessary. I am re-introducing the familiar terms CPR and EMT and showing you how to use these well known terms in a NEW way to help yourself and others recover from EMOTIONAL EMERGENCIES in addition to the usual teachings for only PHYSICAL EMERGENCIES. My intention is to retrain our world to notice, understand & have compassion and empathy when we see someone is emotionally wounded. I am giving people the tools and training to react with love, respect, and knowledge of how to handle conflict/emotional trauma in a peaceful loving way. I help you shift your thinking so you can respond with love and manage emotional emergencies. I will give you the tools you need to first connect with yourself, then your spouse and/or spiritual partners, and your children. I will give you step by step guidelines to help your family when emotions are flaring kind of like a fire drill. I will also help you prepare your living space to promote wellness, alignment and peace as a preventative measure. I will guide you to increase your awareness and how to learn to think & speak in a mindful way that feels good to you and others, how to use your own guidance system while you parent and not compare or doubt your decisions you make for yourself, your child/children, your family, etc. I will show you how to BE AUTHENTIC, which may not be popular at first, but as you learn to do this, you let others know they too can be their authentic selves 🙂 I will share the tools we use in our family that have been successful for us and introduce you to my Prana Boost Parenting Toolkit™ and Prana Boost Prescriptions™ so you can find the best feeling methods to use in your family. You can read everything you want & talk to other people to get advice and at the end of the day all that matters is how you and your family feel. This is how you determine if your approach is working and successful for YOU. 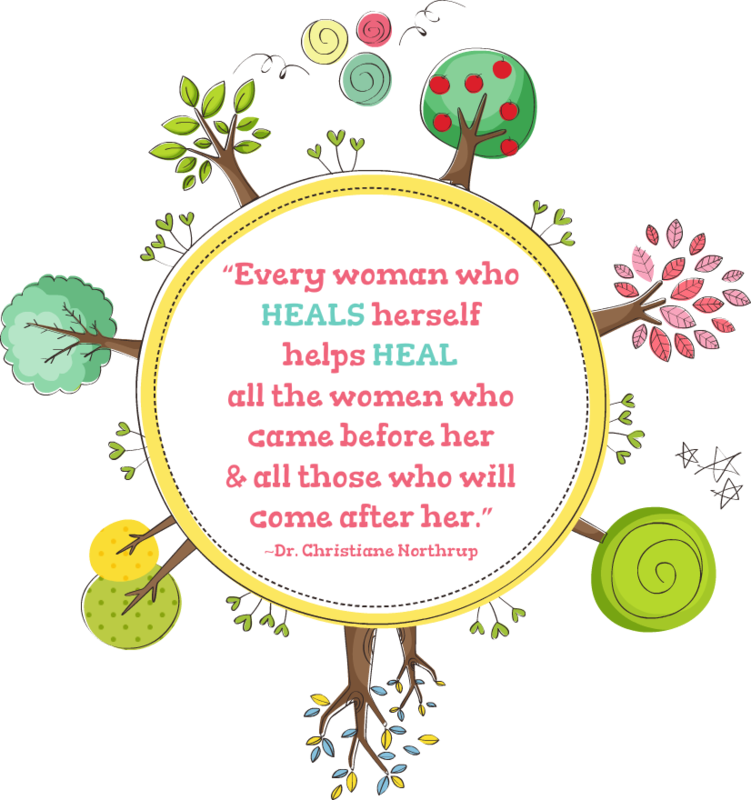 We must be willing to as Brene Brown says, “dig deep” and begin to do more than treating just the symptoms. Just as the medical industry is teaching us that preventative wellness is necessary for optimum health, Preventative Parenting is necessary for the health of our families and our communities. We have to deliberately intend and create what we want to live. 3. Make informed decisions that feel good to the adults AND THE children in a family environment. If peace, love, compassion, kindness, & respect are your goals then you will resonate with what we describe in this course. From bedtime rituals, to food choices, to education in our current world, to learning about our EGO, we can inspire A New Way To View Parenting & A New Language Of Love. We do this by honoring the children of this time and space and generation who are coming in from a different level of consciousness! 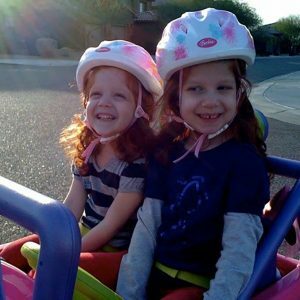 We are the ones who are able to choose peaceful parenting techniques that allow everyone to remember that their connection matters and that they love one another and that emotions and reactions are a normal response to life. 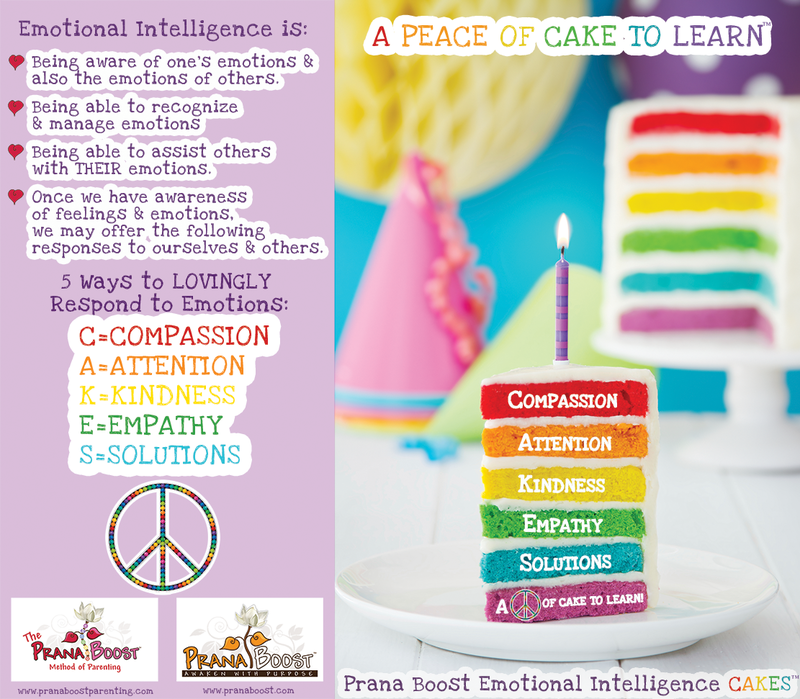 We are the ones who have to master EMOTIONAL INTELLIGENCE, so we may share this knowledge with our children. I believe that each and every family has the right to create the family of THEIR dreams, but I will say that I do believe some current parenting methods, lack of coping skills and conflict resolutions are harming us, our children, our world in ways that can never be BENEFICIAL. It is imperative that we join together to experience this PARENTING REVOLUTION and create a Parenting NO TOLERANCE ZERO EXCUSE POLICY such as schools and jobs and government create…of removing violence and shame and blame and guilt from our homes. It can be done! It is unnecessary and supports very old/outdated ways of thinking. Peace on Earth is not possible, until we become peaceful in our homes & in our hearts. 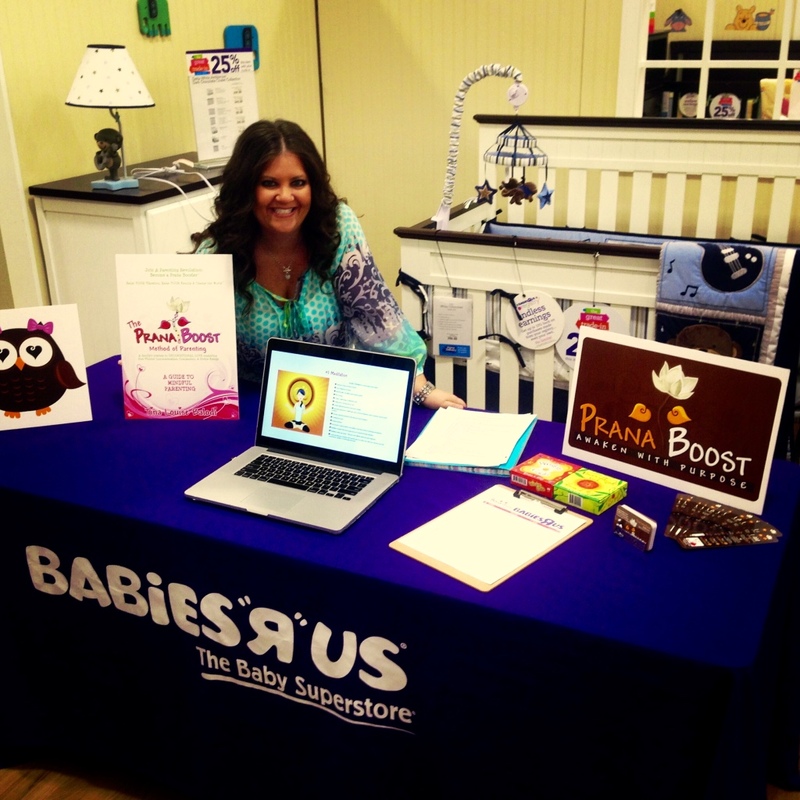 We will be learning about The Prana Boost Method of Parenting Journey™. This journey is not one that begins and ends, it is constantly repeating. Initially, we will share the details and lessons of each journey, then as you proceed to stage 8, I am a Prana Booster™, we will be preparing you to repeat each stage the next time, empowered with the skills of a Prana Booster™. 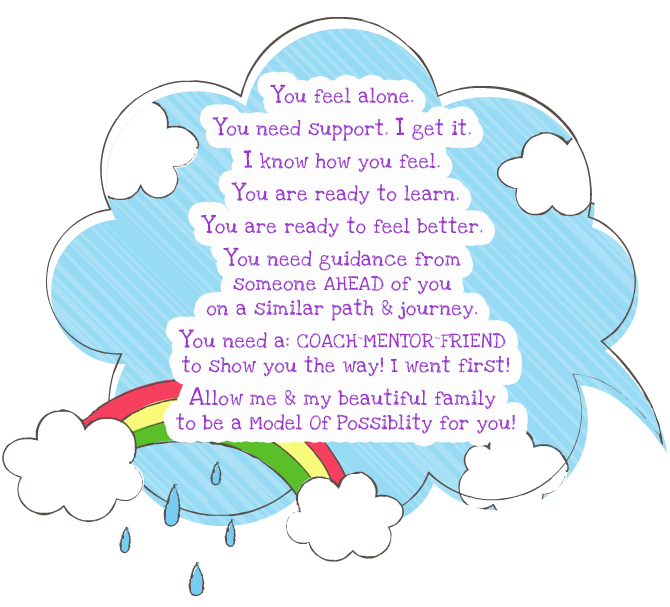 This will create a journey that is based on higher awareness so each time you cycle through the journey at every stage of your parenting path, you will find yourself more peaceful, confident, loving, & have the foundation to always come back to this state. You may initially enter into this journey at different stages on the journey, but every teaching applies to each stage. I will help you shift your core beliefs to ones that support your newest greatest vision for your family. GIVE you the tools & techniques to make these changes and TELL you I believe in YOU. This online course will help people contemplating & questioning parenthood in today’s world, parents to be, parents and or any caregiver of children (ie. 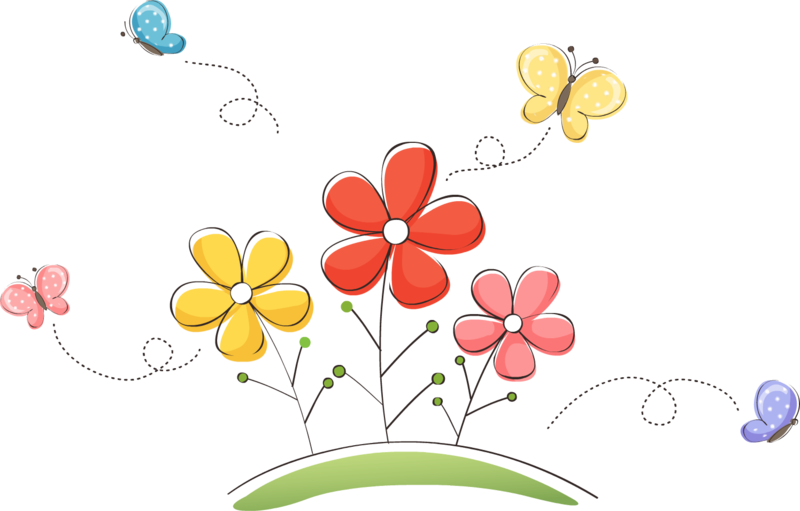 grandparent, aunt, uncle, nanny, manny, friend, neighbor, cousin, babysitter) who are searching for a way that feels better & who are willing to learn a new method of parenting. It’s for anyone eager to parent with an open heart and learn to parent differently than they were parented. Kids come into this world loving and kind. They must be given and modeled unconditional love toward themselves and towards other humans to sustain this energy. This will create a family built on love, compassion, cooperation and peace which will extend and permeate out to our worlds…our workplaces, the grocery store, our schools, local communities, etc. Are you ready to wake up & ready to live life another way. 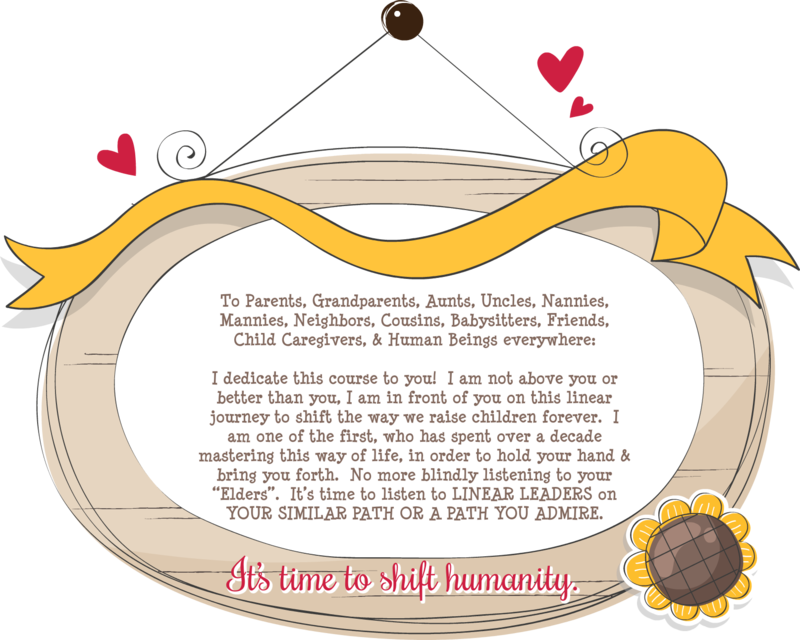 Are you looking to become highly aware parents, caregivers, and humans walking this planet. IT STARTS in our homes! This journey is for you if you are willing, open and honestly want to create the family you dream of. 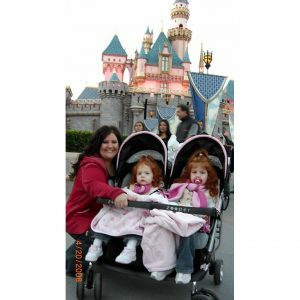 If you are ready to have fun parenting, if you are able to see things differently. If you want to feel joyful, healthy and peaceful this is for you! Are ready to do your parenting homework? In this course you will be guided to find your courage, learn to speak mindfully & how to shift and rewrite beliefs that support Mindful Parenting. ♥ Be Present and not think about the future? ♥ Question mainstream lifestyles & current medical information? ♥ Step over the laundry to go play, or go to Disneyland, or go on a bike ride to the park? ♥ Go to sleep without doing the dishes? ♥ Cuddle up on the couch without picking up the toys? ♥ Skip the shower or bath and do it tomorrow? ♥ Have breakfast for dinner and vice versa? ♥ Trick or treat at home? 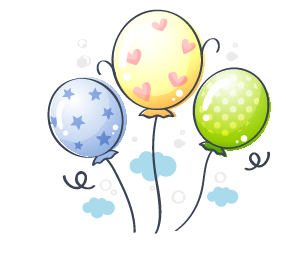 ♥ Leave a loud restaurant, birthday party, family get together if necessary? ♥ Walk out of a movie that doesn’t feel good? 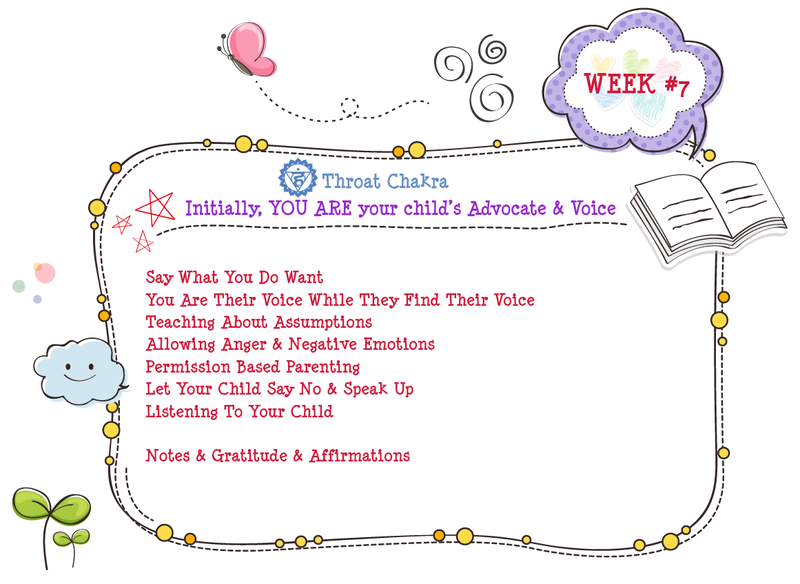 ♥ Allow ur child to “talk back ” have an attitude and not get mad at them? ♥ To let ur child leave with socks/clothes that don’t match? ♥ Forget your “routine”, hang up the phone, pull the car safely over, leave the store, sit in your car in a parking lot at times in order to connect, investigate, & take the time to understand and comfort your family’s emotions when necessary & with LOVE? Are done wishing and waiting for peace in your home? Do you question Society’s rules? Are you already interested in Self Help, Personal Growth and Changing Paradigms? Are you ready to take action towards your dream? Are ready to make immediate changes that will set your family up for a loving, healthy, happy, peaceful home? 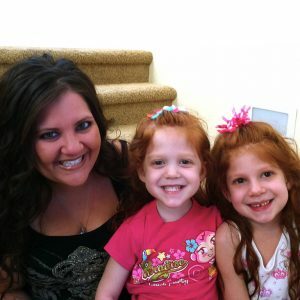 Do you desire to feel less stress & have more fun in parenting? Do you Understand the importance of investing in yourself & your Family? Are ready to learn, implement and commit to new relationship & parenting strategies? Do you Dream of finding ways to connect to your kids though love? 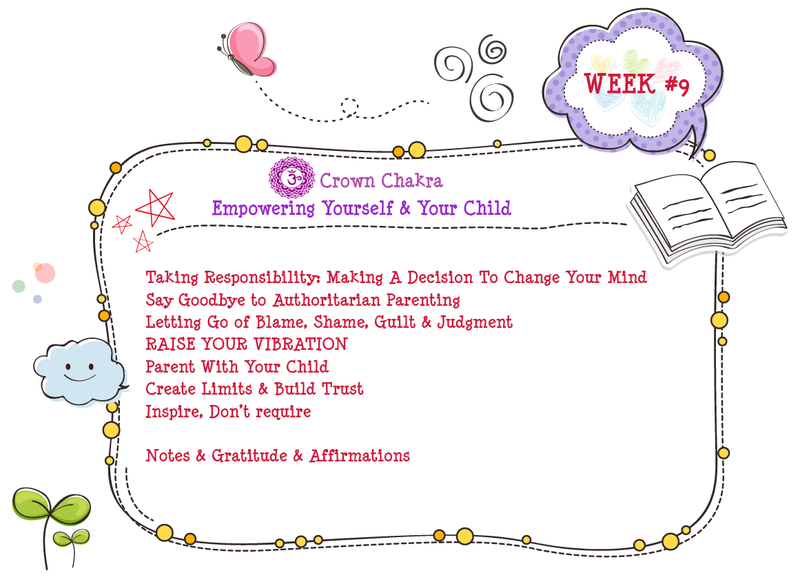 Are you willing to do everything in your power to change your parenting mindset & release methods, habits, thoughts, beliefs & behavior that are not working for you? Then, my friend, This Is For You. P.S. Plus you can learn all of this at home, at your own pace, in your jammies or yoga pants, while your hair is in a bun and you have bunny slippers on. Listen or Watch Our Prana Boost Show! 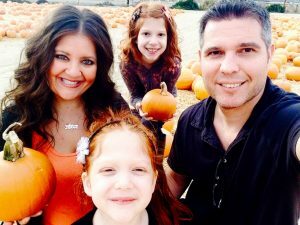 Can I really shift my life and help my family? Yes! Absolutely, and I will share with you some of the best techniques to make this happen. Life isn't all about Bunnies sliding down Rainbows. How can you really help me? Of course we are going to find ourselves in challenging times. This course is designed to help you learn how to align your energy and learn new coping skills so you can work through life’s challenges in a peaceful, loving, nonviolent way. Since I have created this lifestyle with my family, I can show you how to create it for your family. How is this online course going to help me get my child to listen? First, you can’t get ANYONE to do ANYTHING. You can, however, connect so lovingly to your beautiful family that everyone learns how to communicate. You will learn how to listen and hear and then be able to model this for your child. Often times, we talk to our child when they are busy playing or watching something or engaged in another activity. Learning to connect first, then speak, will solve this problem forever. How Soon Could I Start Seeing Results? Immediately! It really depends how quickly you can start to shift your thoughts and your own energy. 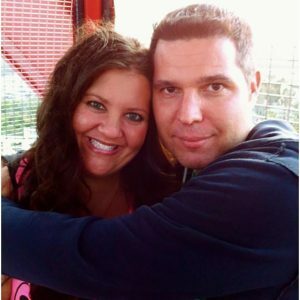 What If My Spouse/Co-Parent Is Not Willing To Learn With Me? Great question! Then YOU GO FIRST! You must Be The Change. If you really desire a new way of life, be willing to be the courageous one and step up to begin learning for everyone in your family. I promise, as you shift your energy, they will all wonder why you are happier, kinder, less stressed and will ask to learn more. If you can learn to be patient and unconditionally love yourself, you will start to offer this to others and they will enjoy you shining your light onto them. Can I take this course at home in my jammies? Absolutely! It is an online course that you can access from anywhere. Your desktop, laptop, or mobile device. What does it mean to become a Certified Prana Booster™? This is ONLY available by registering for the VIP Masterclass. Here you will receive in depth specific training/mentoring and upon completion of the 12 week course at this level you will receive a CERTIFICATE OF COMPLETION that qualifies you to officially share our Prana Boost Messages with the world. What if my friends and I ALL want to take this course, are there group discounts? Yes! For sure! We want to share this information with anyone that is interested! Please contact us here for more information. Will I be able to replay or access any of the presented material after each class? 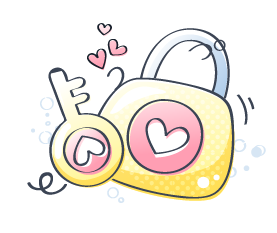 Yes, you will have full lifetime access to all content that we cover each week. 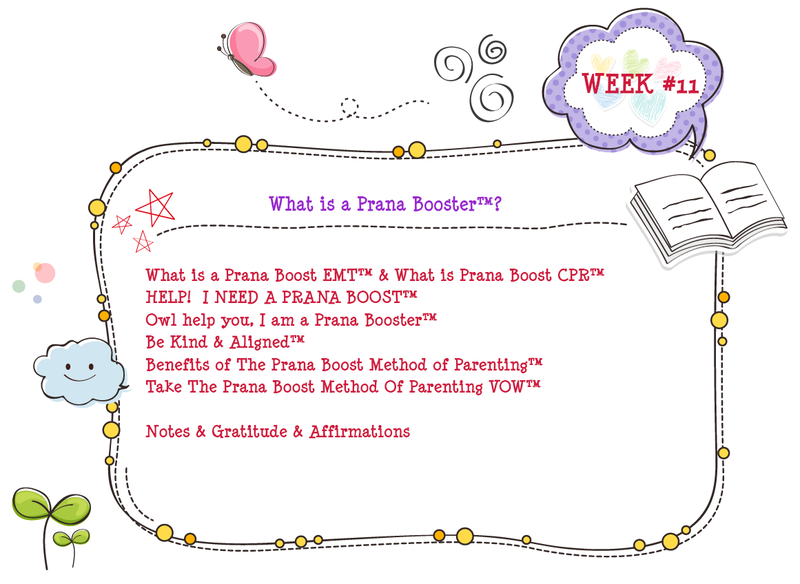 What is a Prana Booster™? A Prana Booster™ is a citizen of the planet. A first responder Emergency Metaphysical Technician; a modern day EMT. Parenting/Caring for or Prana Boosting™ a child, friend, spouse, or fellow human having a tantrum or emotional meltdown or disconnection is like being an Emotional Paramedic/EMT/or Emergency Room Trauma Dr. — First you attend to the immediate emergency needs, save them & you from danger, help them breathe, recover. You must understand that you can’t: “solve a problem with the same energy/vibration/frequency that caused it” ~ Albert Einstein We must shift the energy/vibration/frequency in order to recover from it. A Prana Booster™ is someone who understands WE ARE ALL ONE. WE ARE ALL CONNECTED TO EACH OTHER. A Prana Booster™ sees the world through loving eyes and offers compassion and empathy to others rather than judgment. 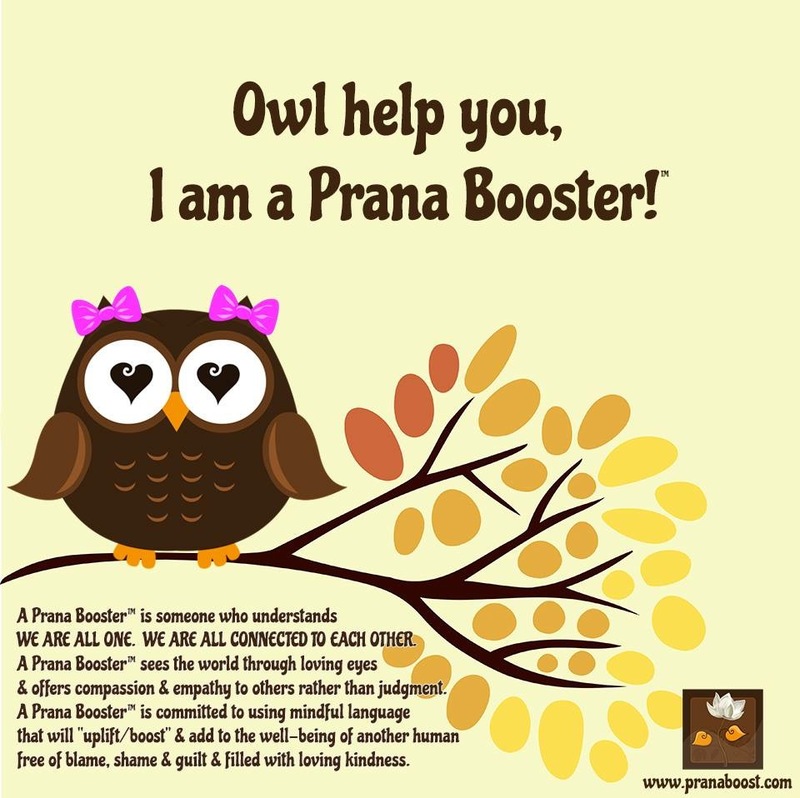 A Prana Booster™ is committed to using mindful language that will “uplift/boost” and add to the well-being of another human free of blame, shame & guilt & filled with loving kindness. Everyone involved needs to take time together, then after everyone is reconnected, you can discuss it calmly and work out a solution. Now it doesn’t matter what made you or the other person/child/human upset, it matters that you ARE upset and misaligned. The best advice for any conflict is: CONNECTION BEFORE CORRECTION. Inspire action, Have a discussion, Create preferred behavior, or Find solutions. The only thing you need to qualify is a heartbeat, the desire for well-being, mindful thoughts & LOVE! The Universe is a beautiful place where miracles occur daily! Start today! Deliberately work on yourself. Send love & Angels into the world, and then bring your energy back to yourself. Even if it’s just 10 minutes/day. Heal your heart, Raise Your Awareness, Focus on Your Energy, Learn Mindful Language, Shift Your Thoughts, & Raise Your Vibration. I am ready to help anyone who is ready to Awaken With Purpose™! Increase your HEALTH, WEALTH, & HAPPINESS! BECOME A Prana Booster™ today. You are convinced that the old Authoritarian way of parenting is the only way to set your child/children up for success & the “REAL” world & you only believe in traditional, mainstream ways of life. We would LOVE to hear from you. We are happy to answer any questions you may have. Please feel free to reach out. Sending you LOVE & LIGHT today and ALWAYS! Tina Louise Balodi a.k.a. 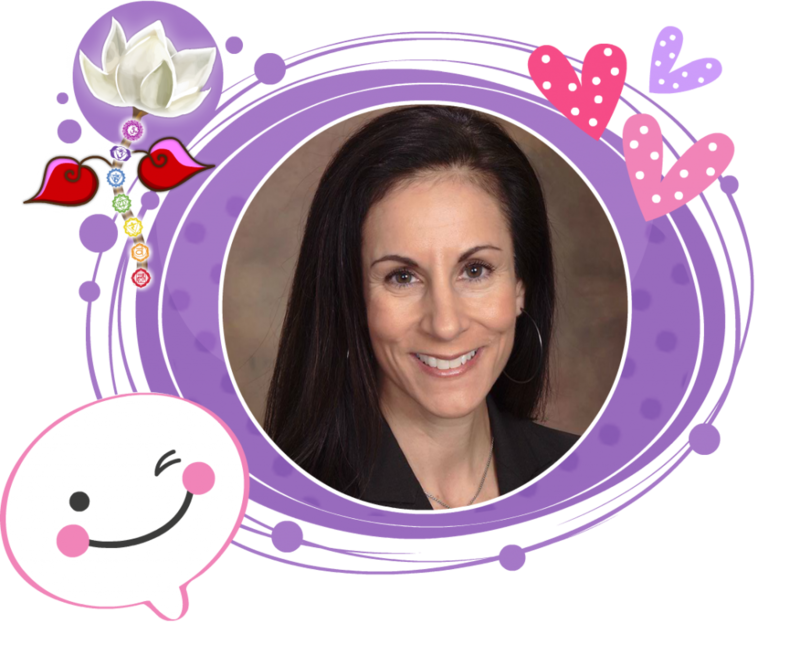 Prana Boost Momma, is a Clairsentient Empathic Healer, Mommapreneur, & the Founder of Prana Boost™ & Prana Boost Parenting™. 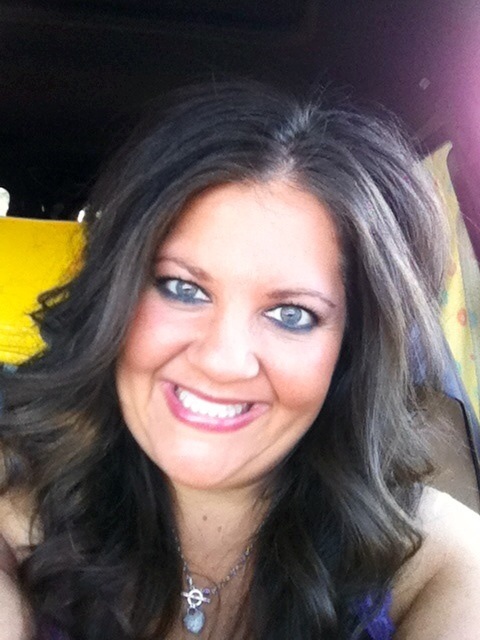 She is a Peace Advocate, Master of Mindfulness & Emotional Intelligence, Author, Speaker, & Transformational Life Guide. She inspires people to Raise Their Vibration, Access Their Intuition & Live Their Most Authentic Life. 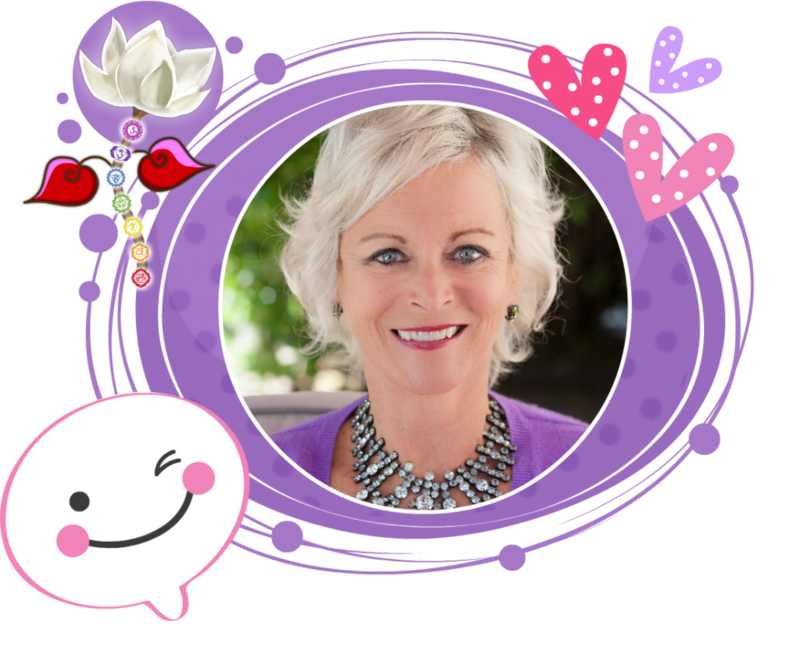 As a Prana Boost Lifestyle Expert™ Tina lovingly guides, nurtures, & empowers individuals & groups of people to increase their Mindfulness to “BOOST THEIR PRANA” (a.k.a. Life Energy) & Raise Their Vibration, which creates Emotional, Physical, Financial & Spiritual Wellbeing. 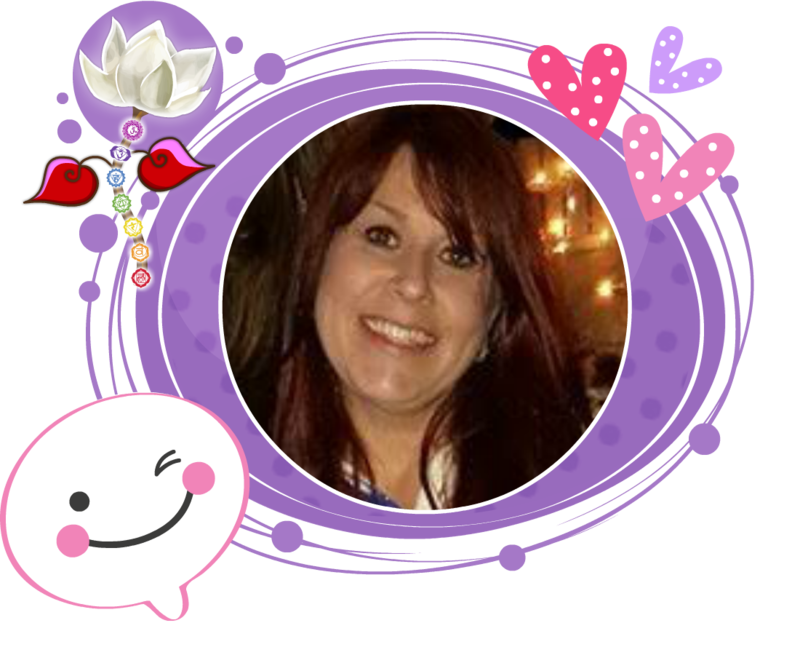 Tina is a Mindful Momma to 2 unschooled girls, Gabrielle Alexa (12) & Isabella Sara (14) & has been happily together for over 24 years with her twinflame/husband/business partner/best friend, Alan. 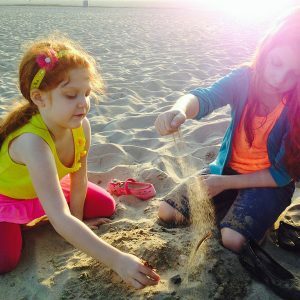 Together, they are raising their girls, consciously & mindfully, using all the techniques she shares with others and empowering families to co-exist, love and thrive while following their own hearts and intuition. 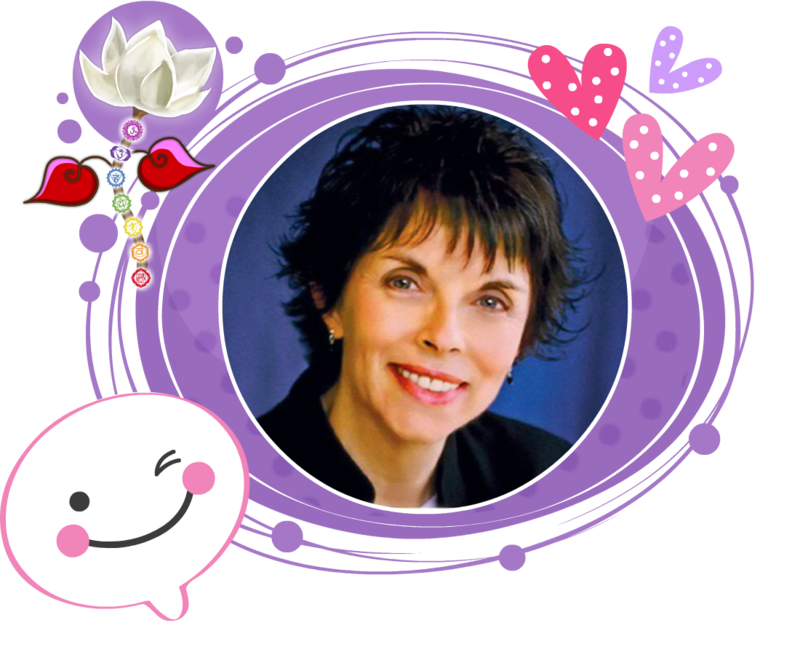 She is the author of the forthcoming books, The Prana Boost Method Of Parenting™: A Guide To Mindful Parenting Through Unconditional Love, Intuition, Nonviolence & Emotional Intelligence, The Longest Goodbye & Ms. Alignment, The Emotion Fairy. 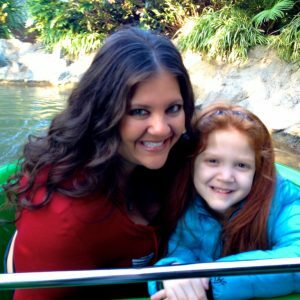 Tina’s UNIQUE Life & Parenting skills also include: Vegan Recipe Creations, Crystal Healing, Angel Card Readings, EFT-Tapping, Chakra Balancing & Pendulum Readings with Penjie™, her pendulum. 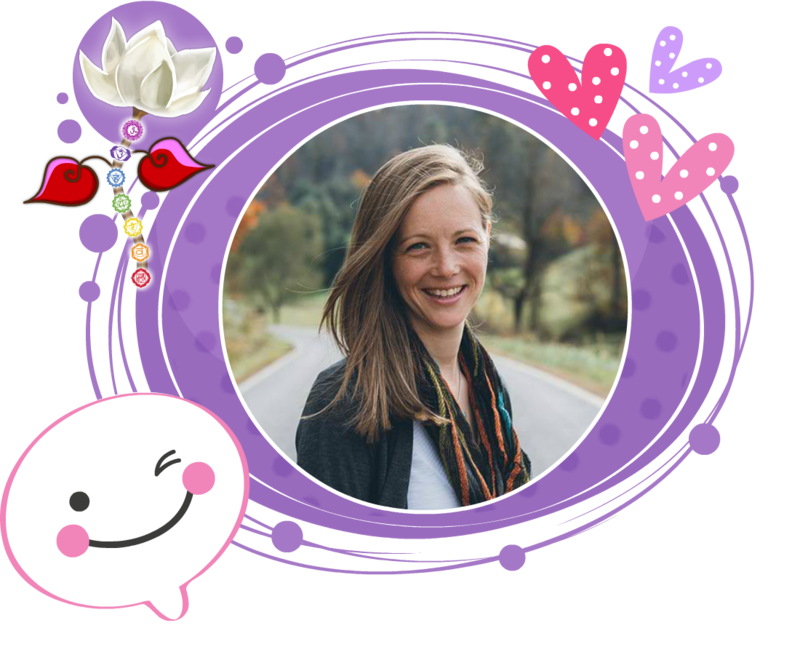 Her biggest passions are: Inner Personal Transformation, Alternative & Holistic Healing, Positive Psychology, Emotional Intelligence, Nonviolence, Mindful Language, & Mindful Parenting. Legal Disclaimer: This course is not intended to substitute professional medical or mental health care. These services are part of a holistic solution.